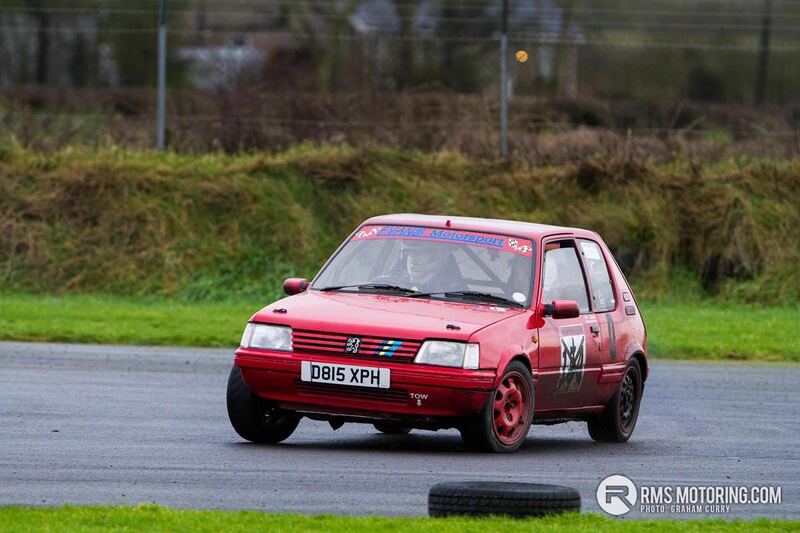 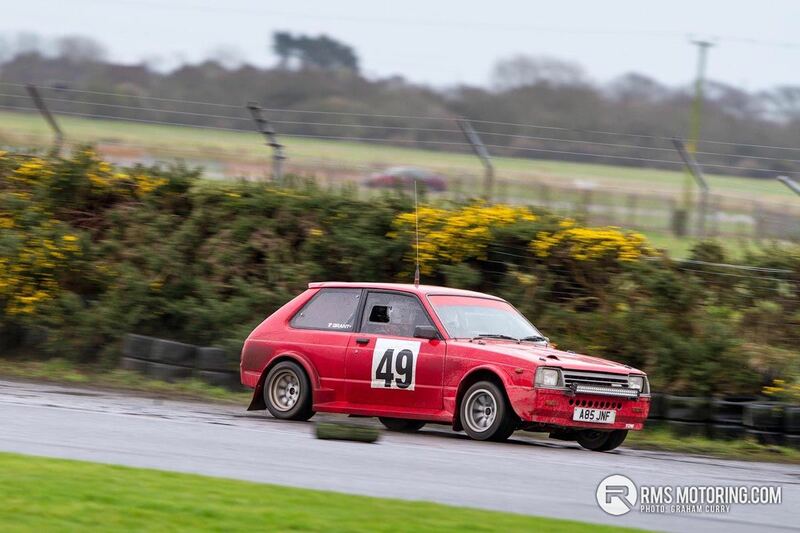 Standing in the quagmire of the Kirkistown Racing Circuit infield, wind blowing a gale and temperatures refusing to move out of single digits, the sound of launch control and the crack of rapid fire anti-lag warms my soul. 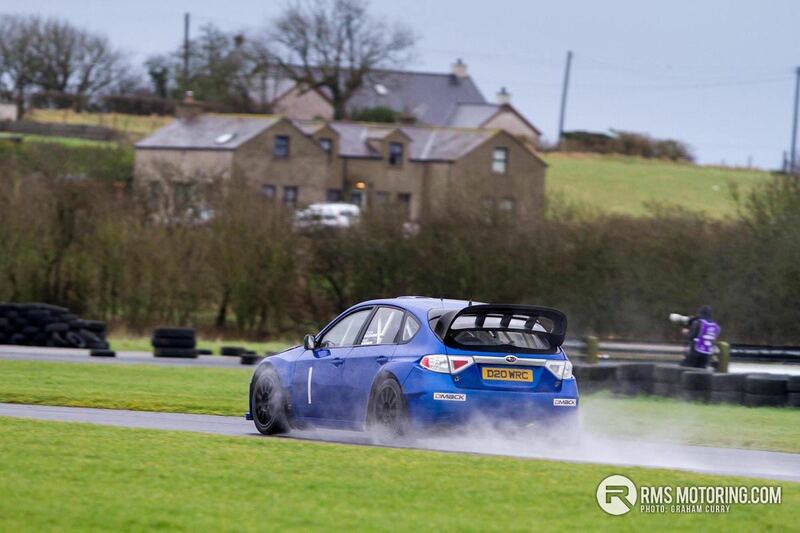 Yes, that’s the sound that marks the start of a new motorsport season. 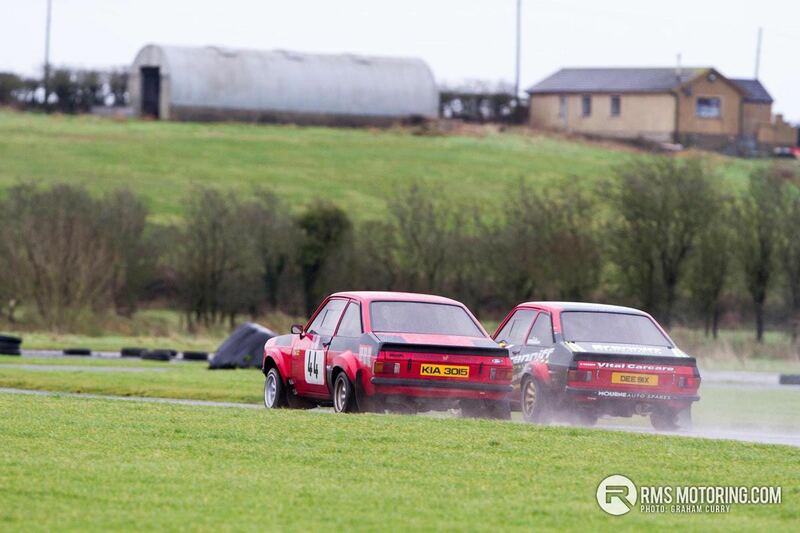 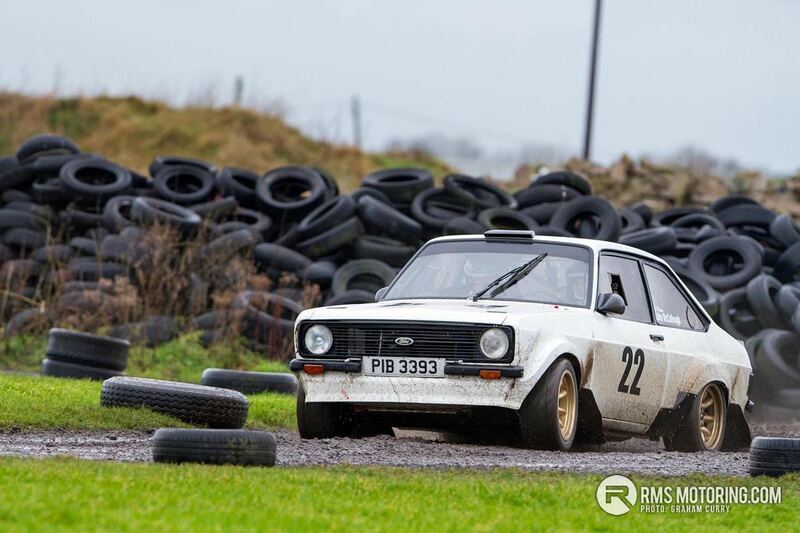 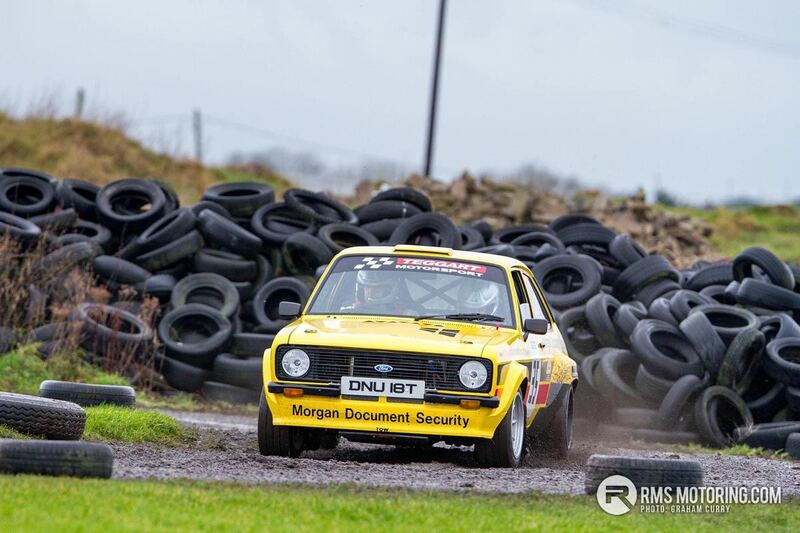 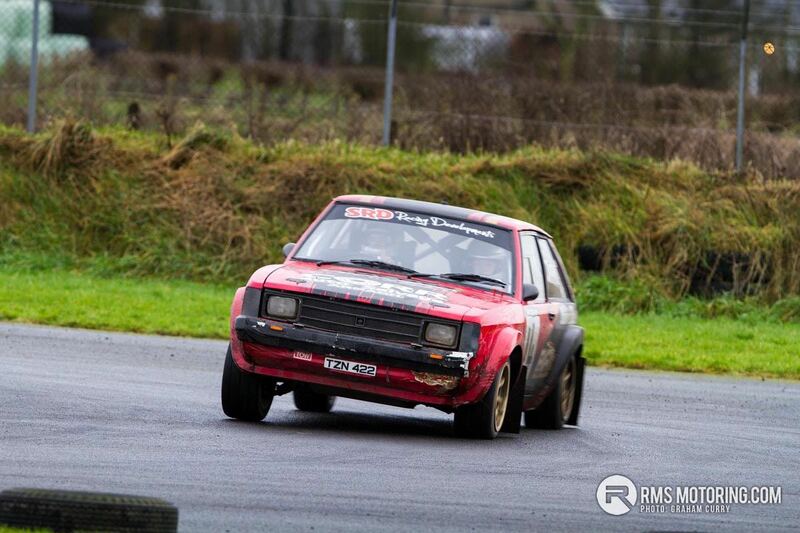 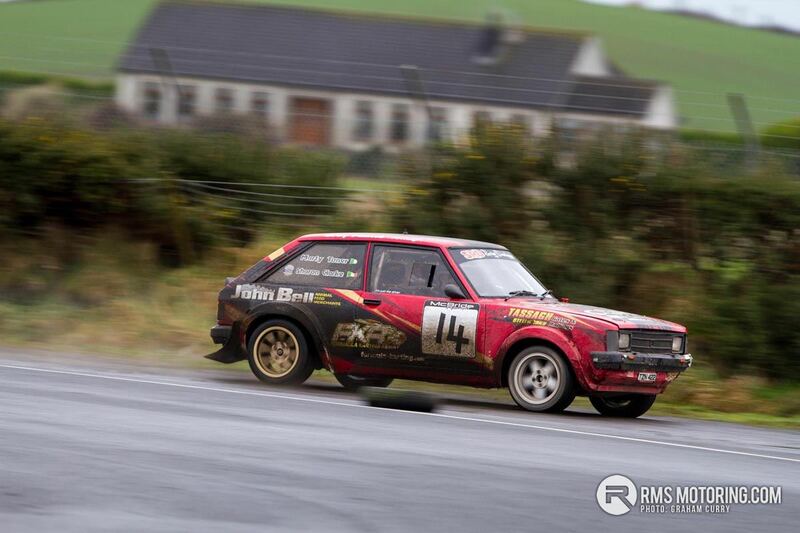 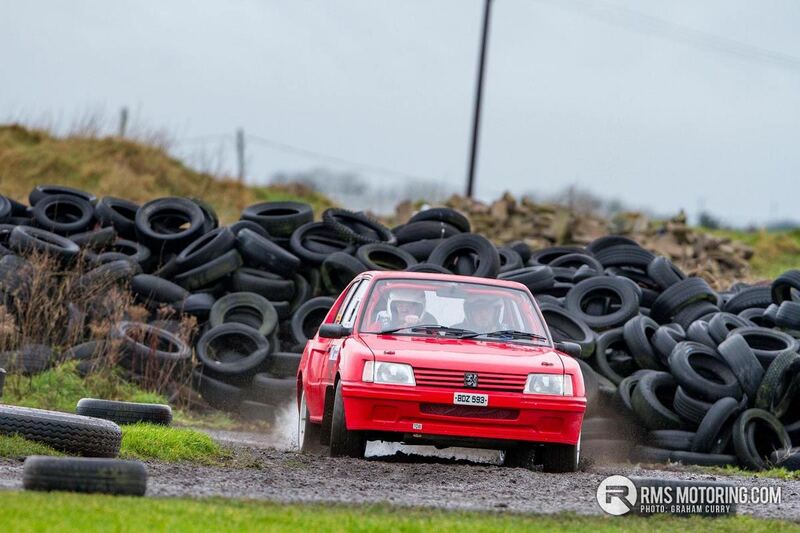 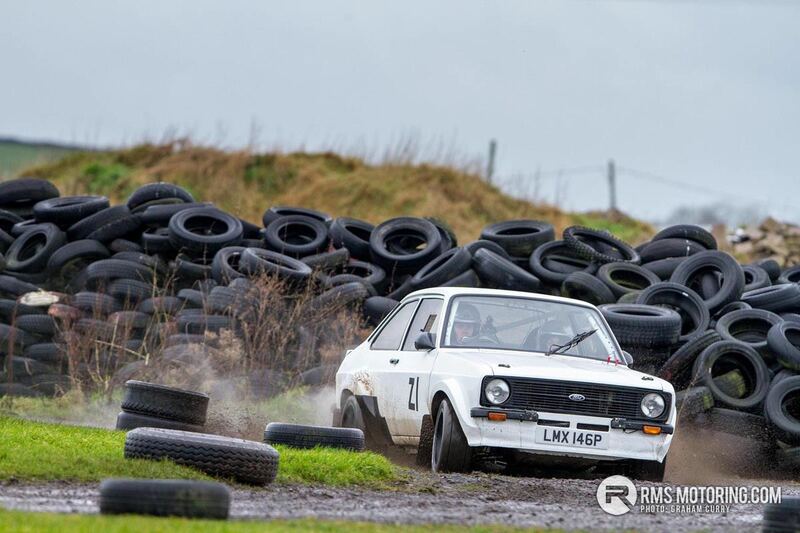 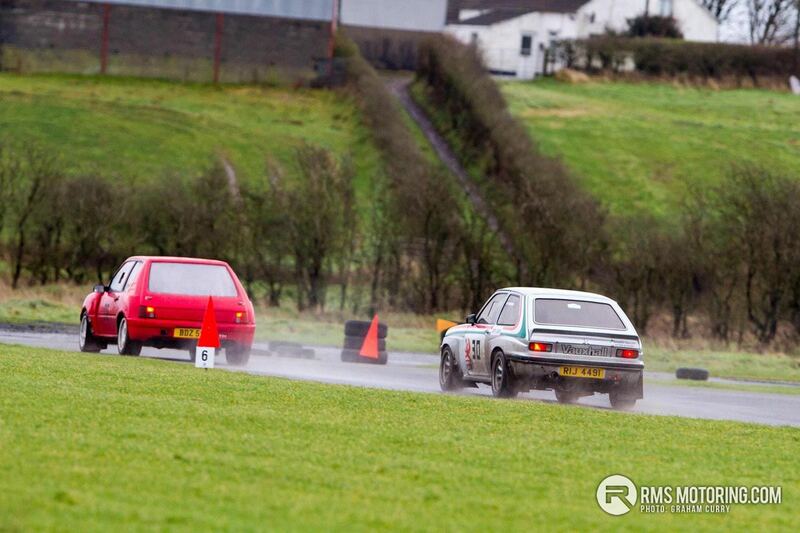 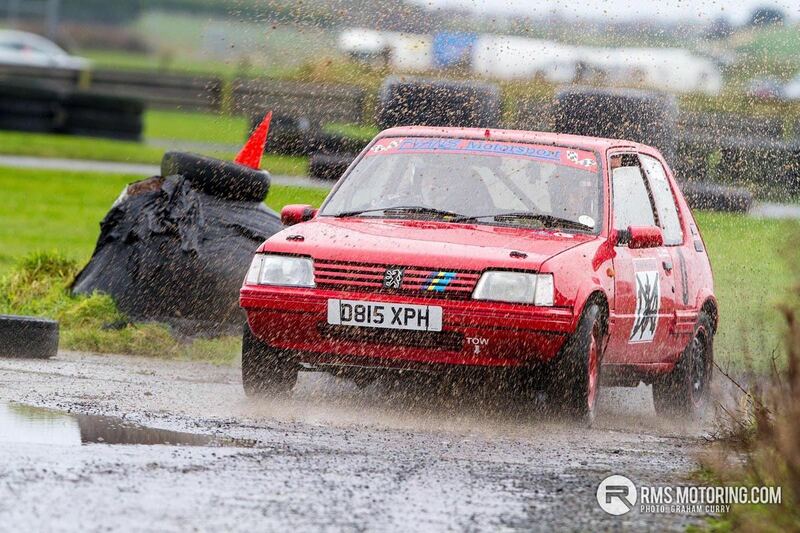 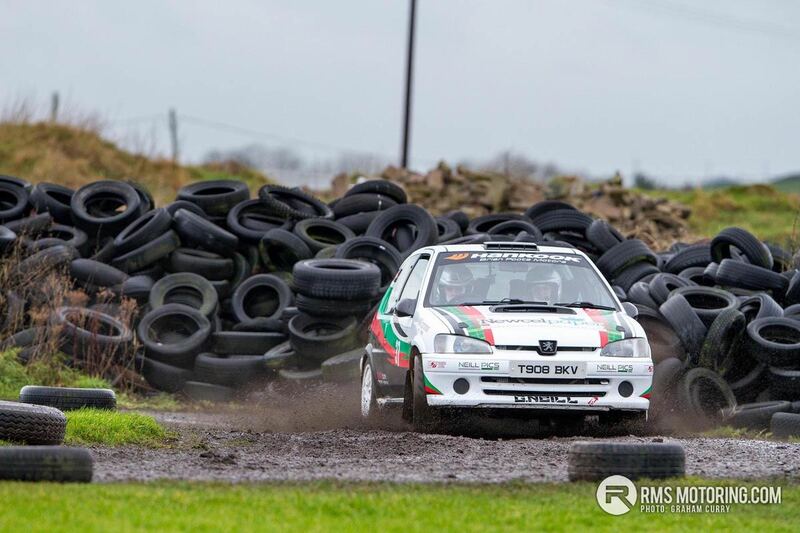 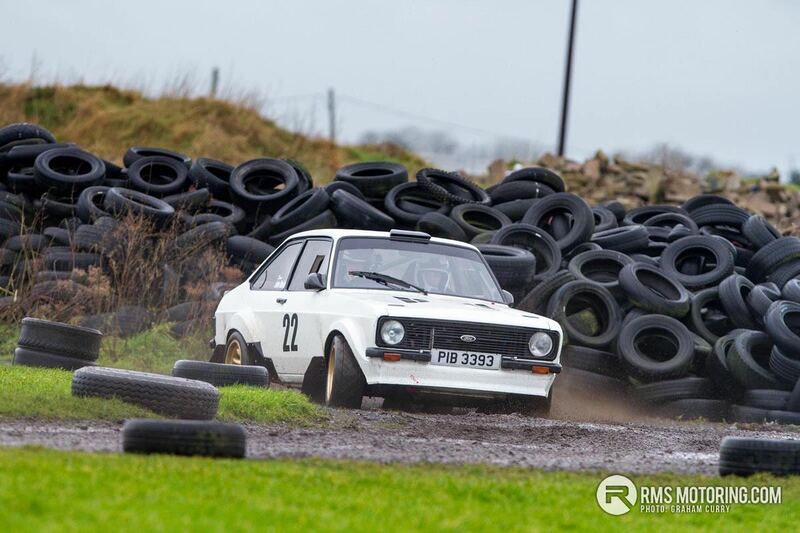 The County Down venue has been host to the New Year Stages Rally for as long as I can remember. 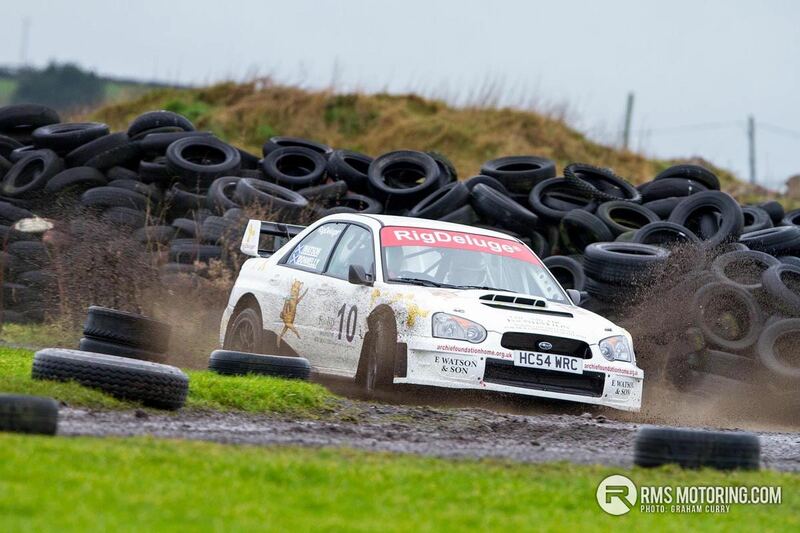 It was the very event where I made my navigating debut around a decade ago. 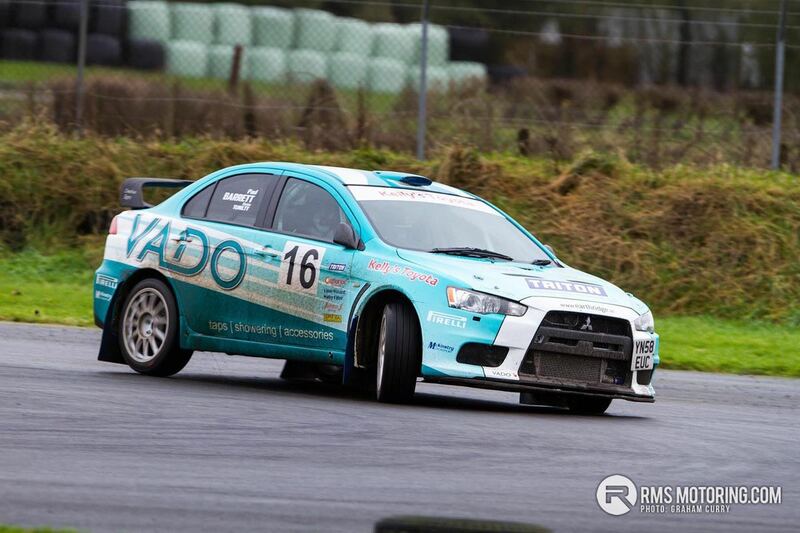 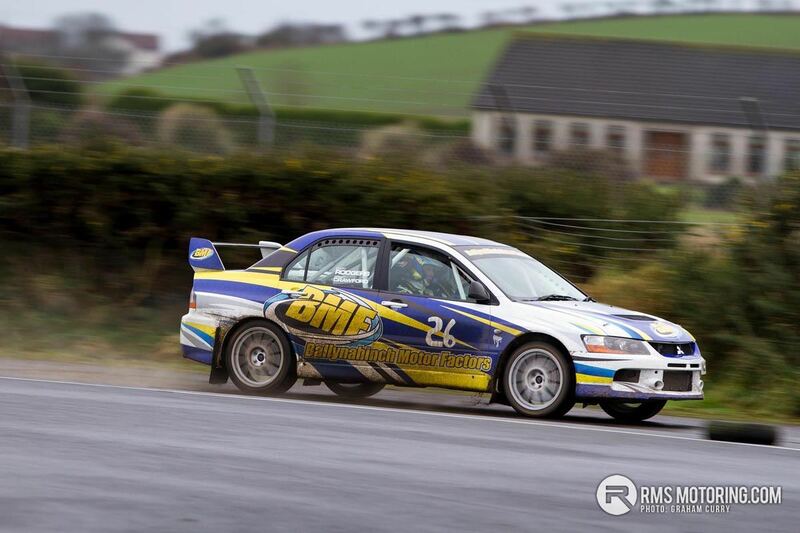 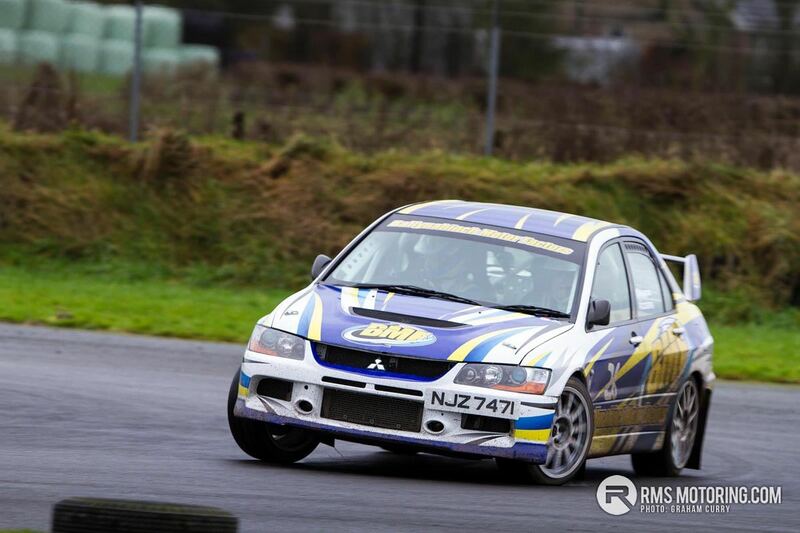 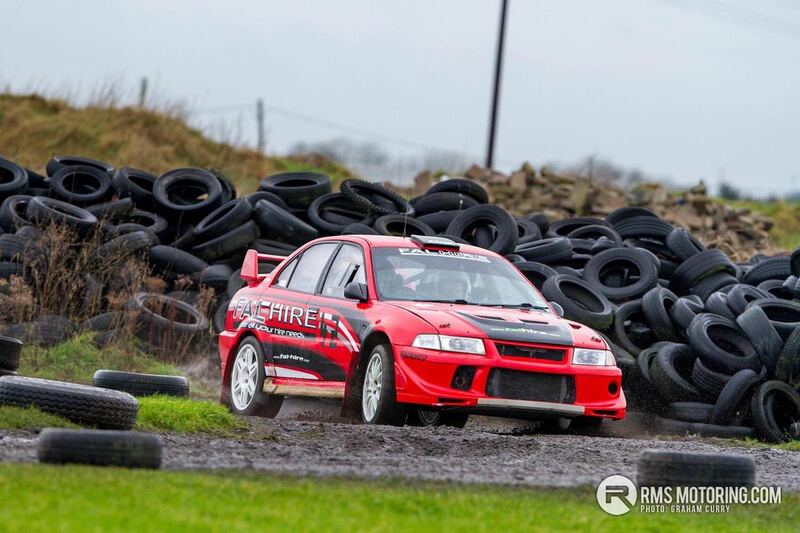 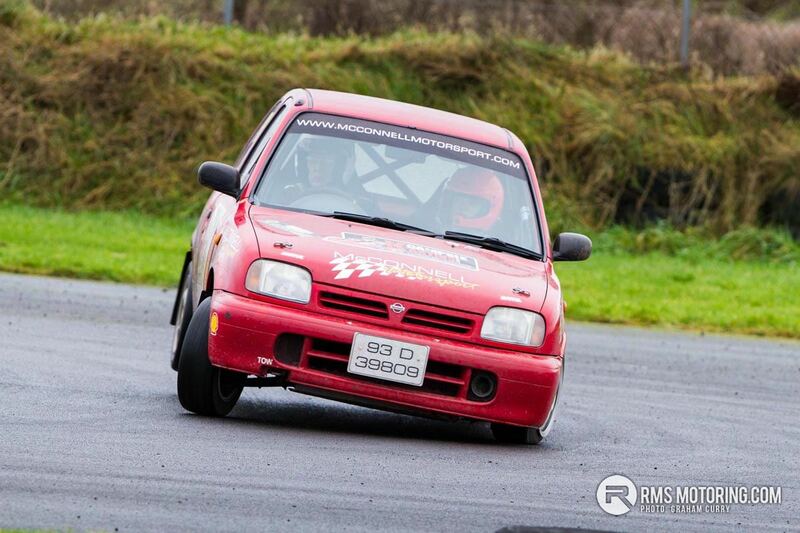 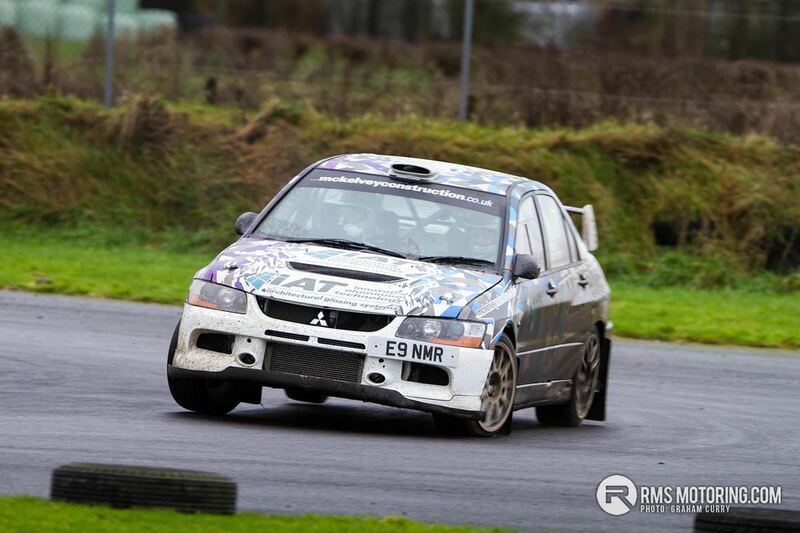 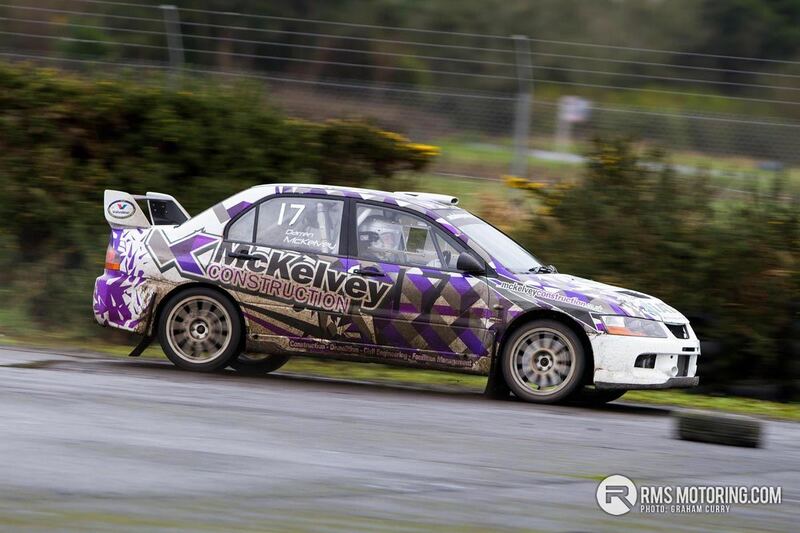 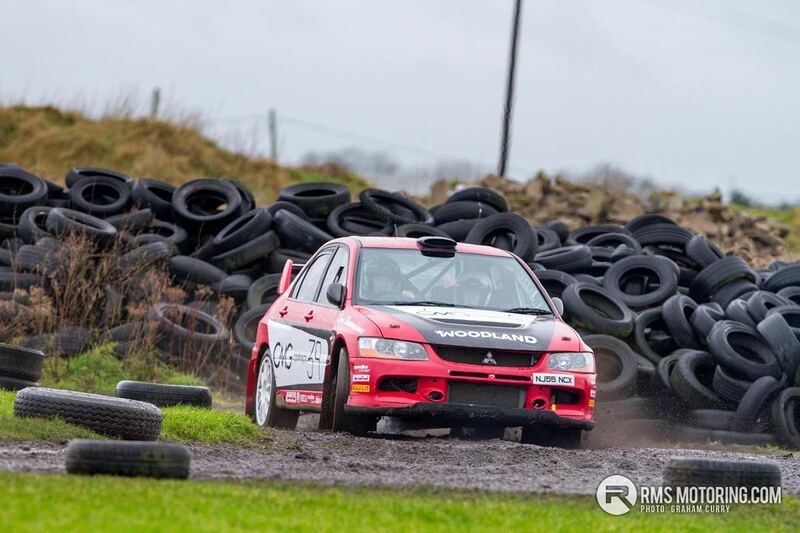 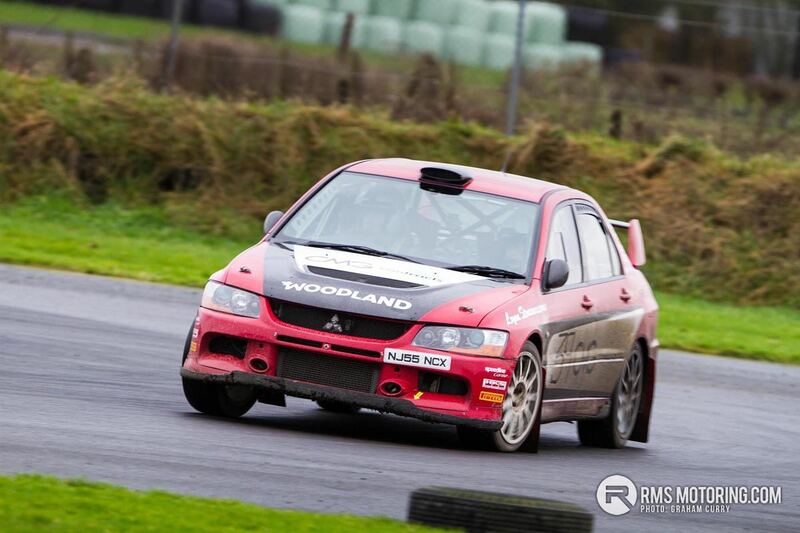 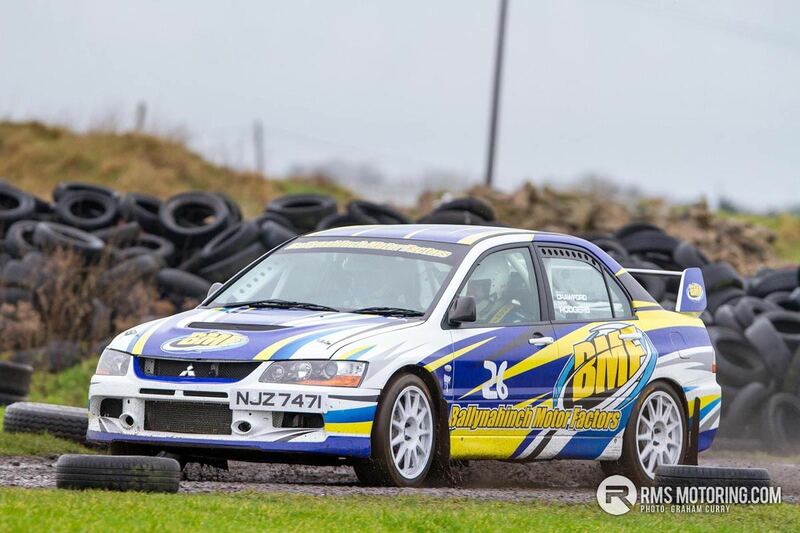 And a winning debut at that, scooping Group N honours alongside John McGlaughlin in an Evo 9. 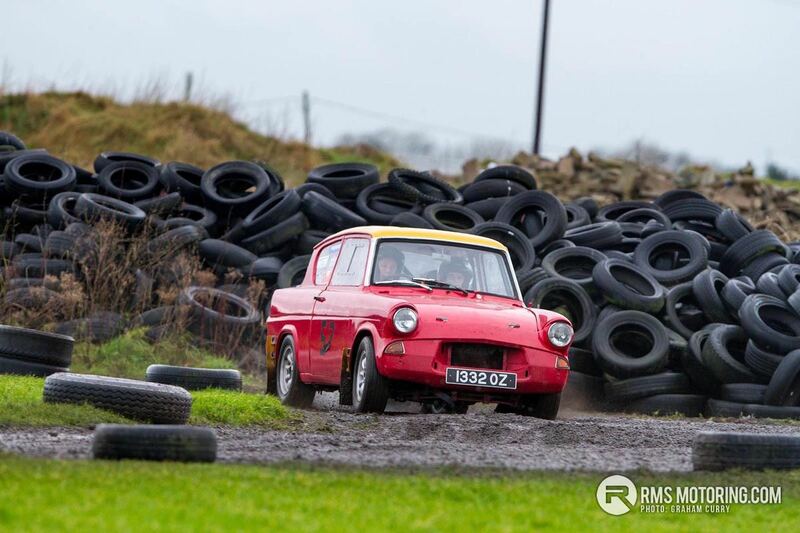 Enough reminiscing the good old days of though, as we need to accept the sport has been in demise with the governing body ‘MSA UK’ taking health & safety measures beyond all reason, as well as restricting media to an extent of suffocating the sport due to added costs for all involved. 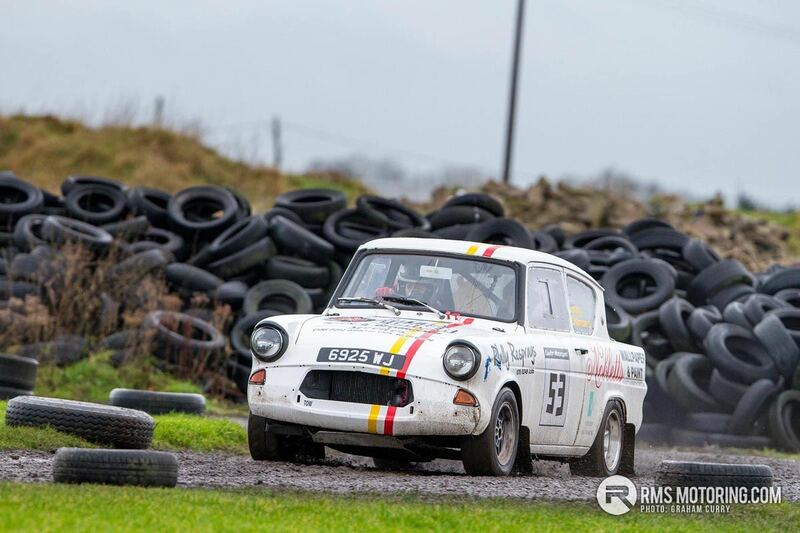 Just a few days before this season opener however, I noticed the entry list and noted numbers in the early fifties – something that came as a surprise as this event has suffered in recent years to gain traction – nothing like the entry of eighty it would have often seen in the past, but respectable none the less. 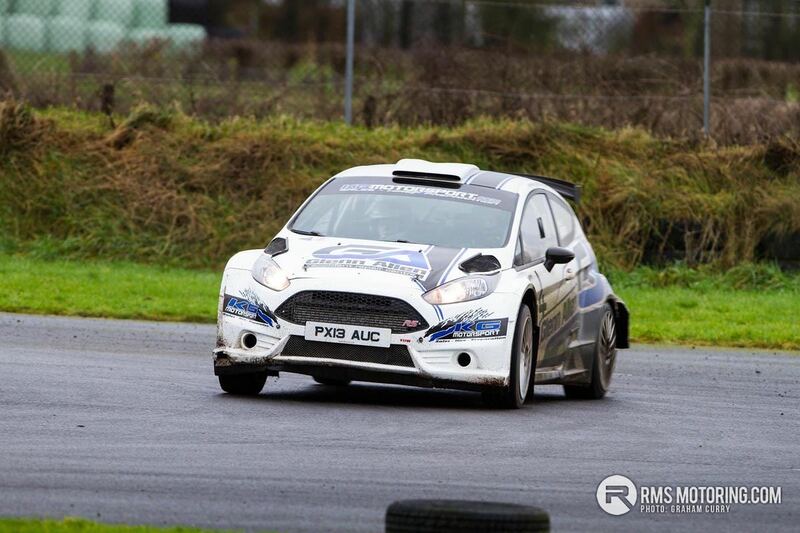 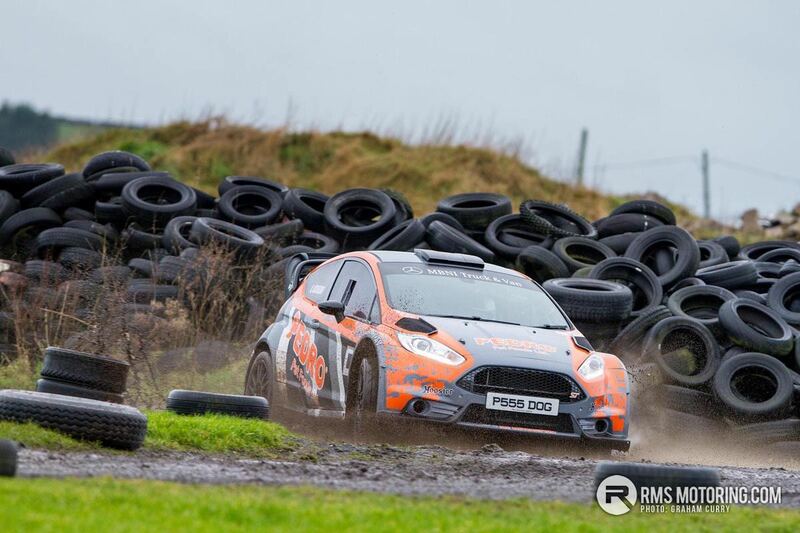 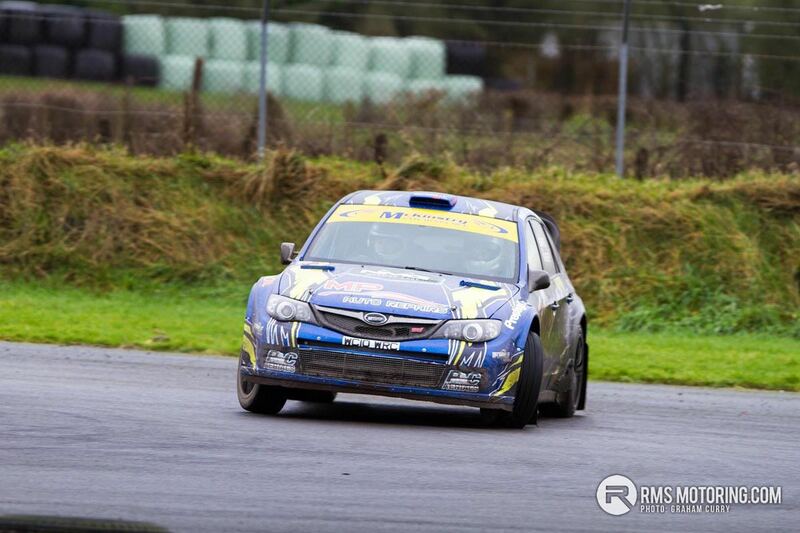 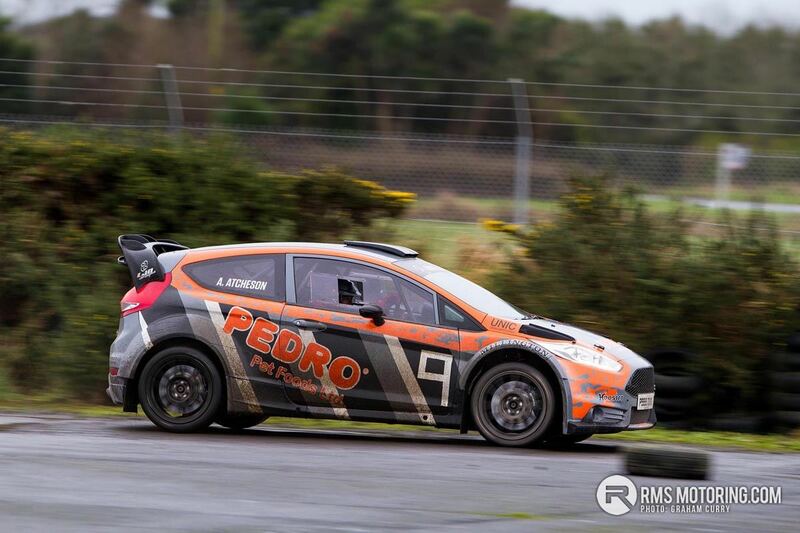 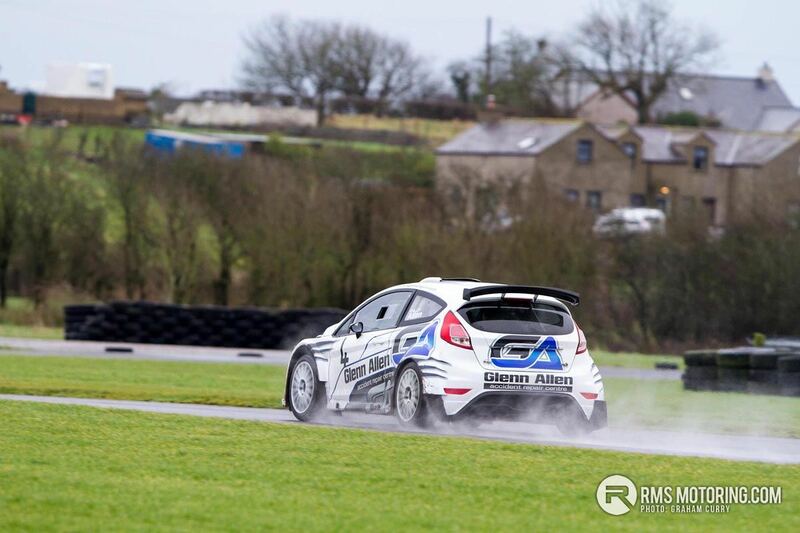 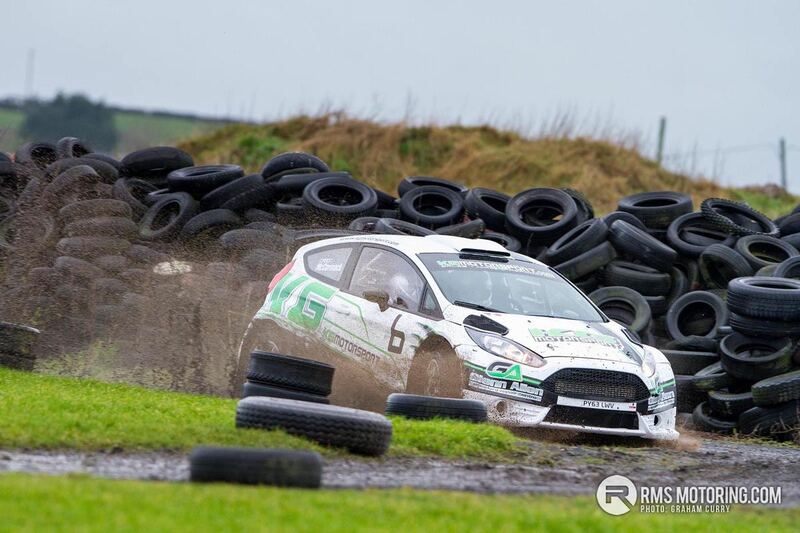 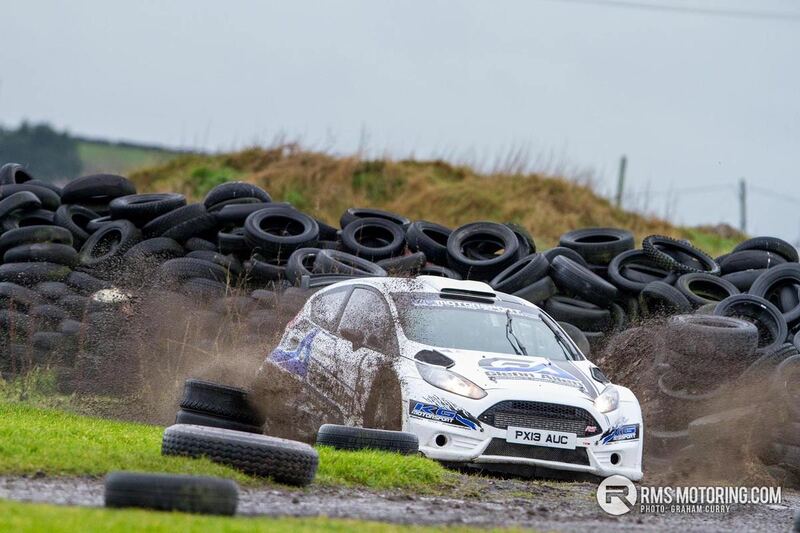 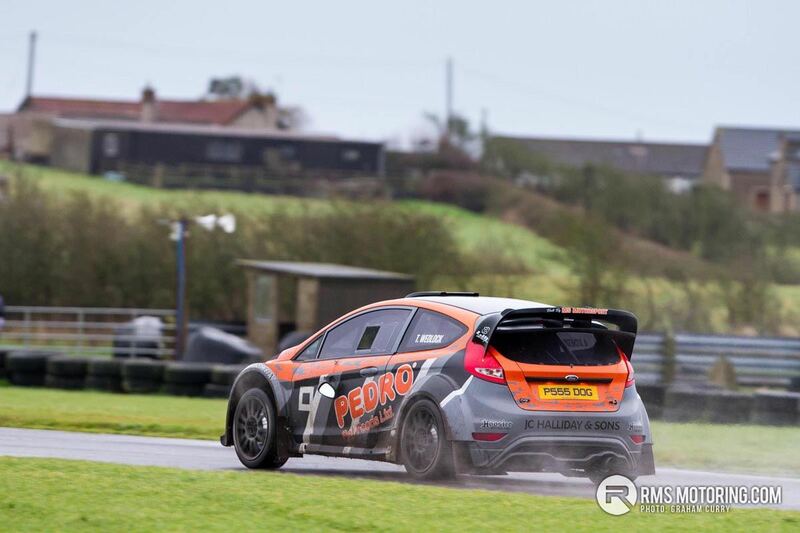 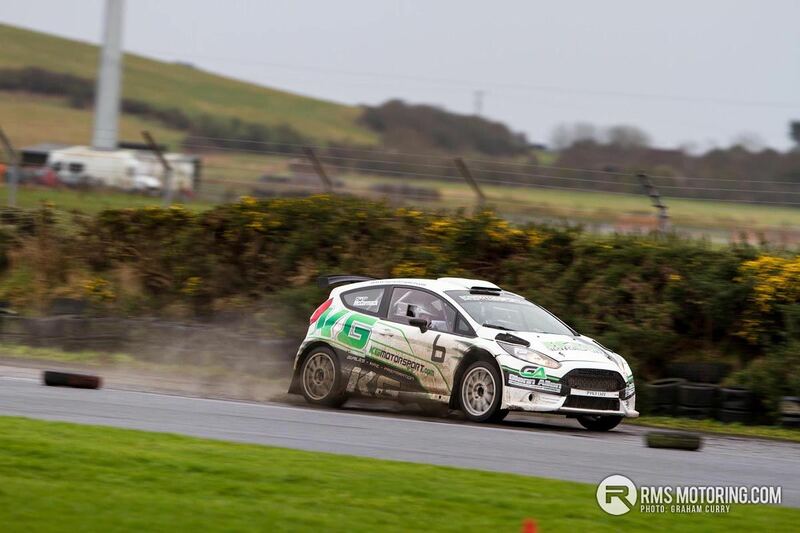 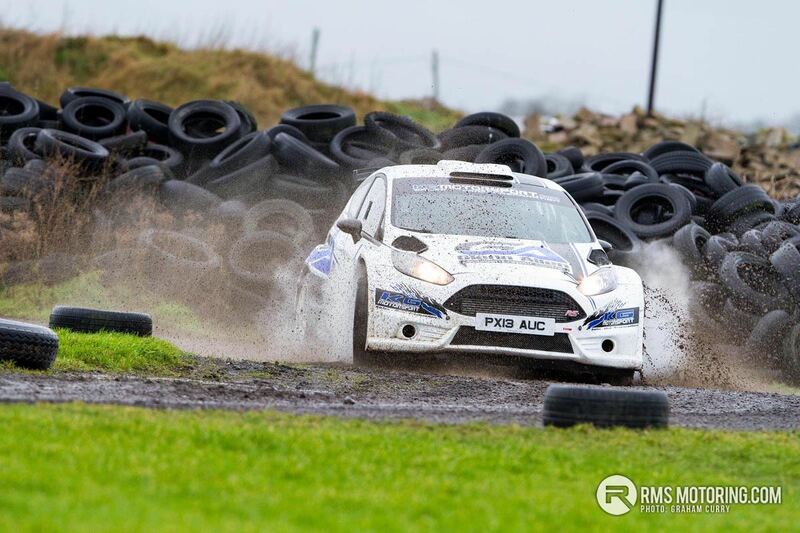 There were a few surprises, such as Philip Allen in a Ford Fiesta R5. 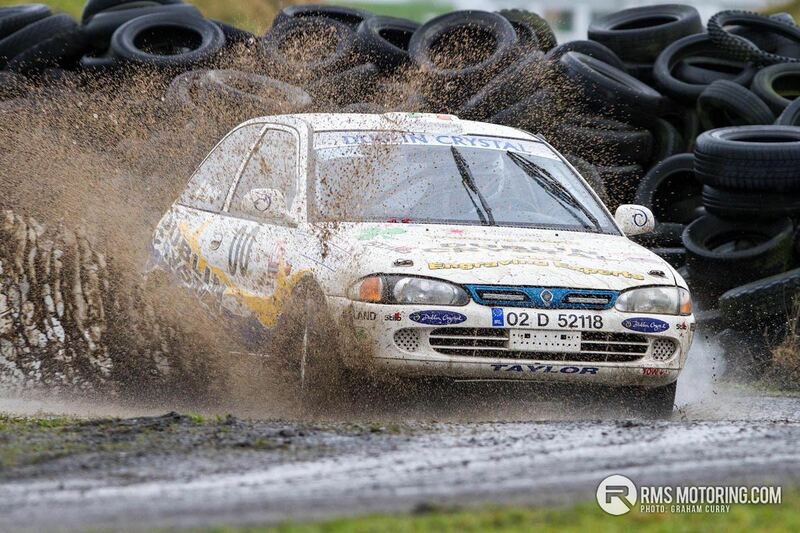 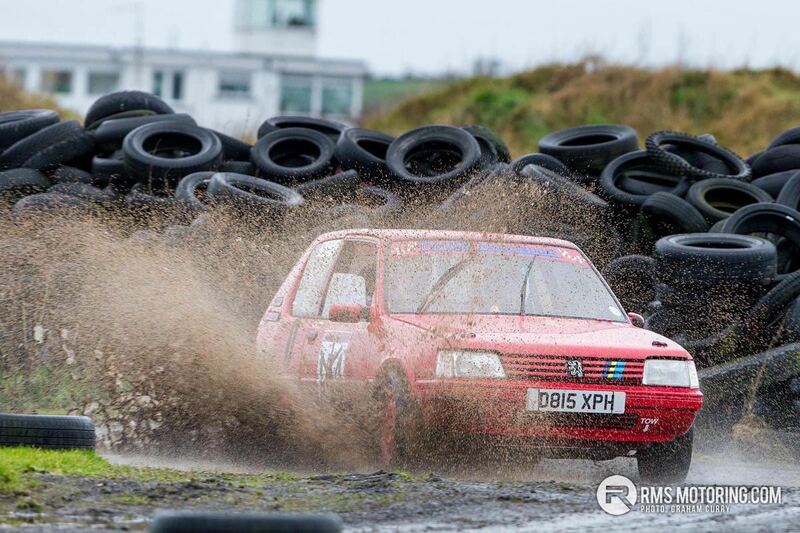 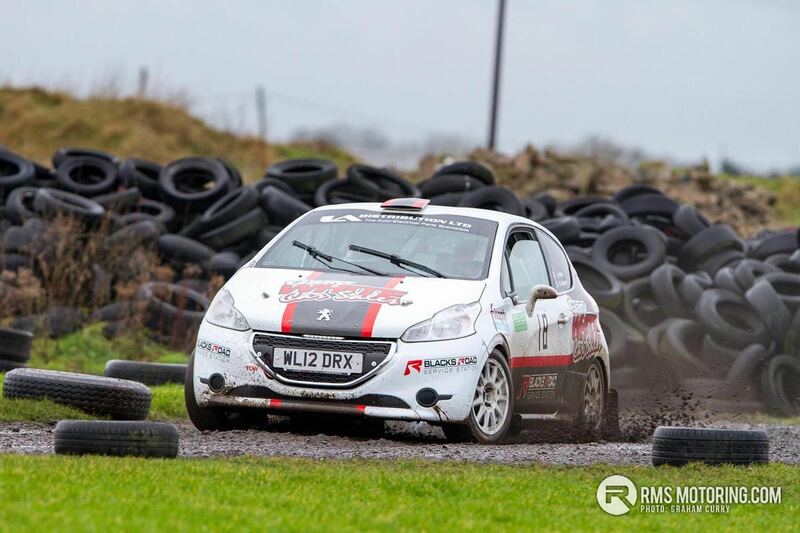 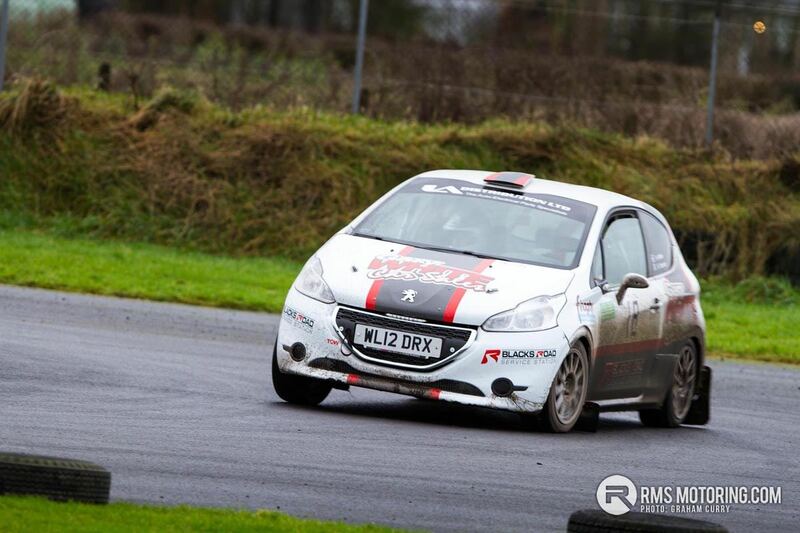 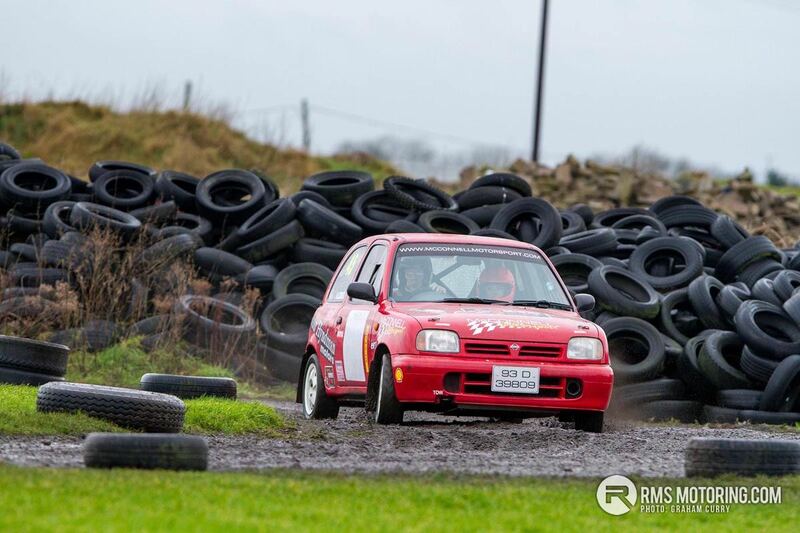 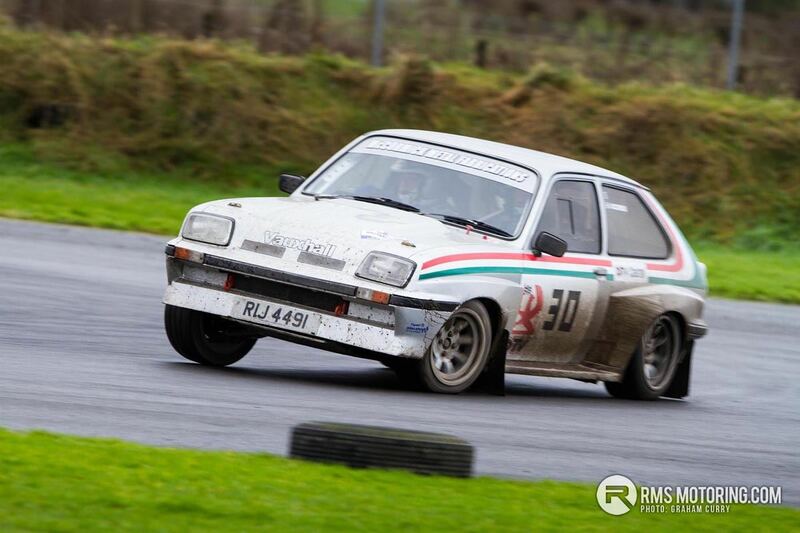 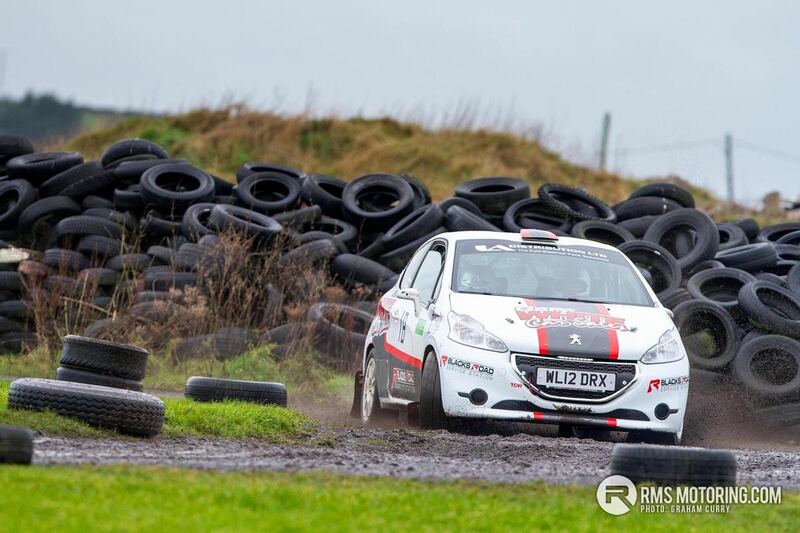 Could this be a pointer to a future British Rally Championship or an Irish Tarmac campaign from the young gun whose late father had much success in the sport locally? 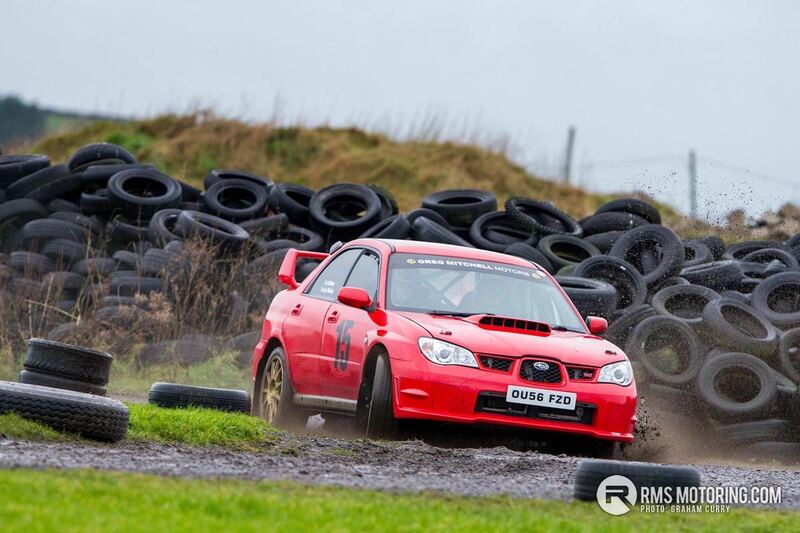 I do hope so as Philip’s results during his short career so far have been very promising. 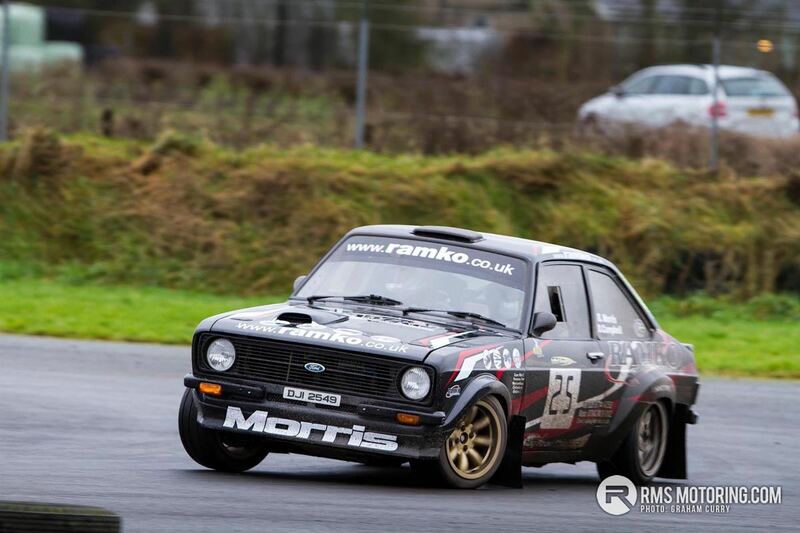 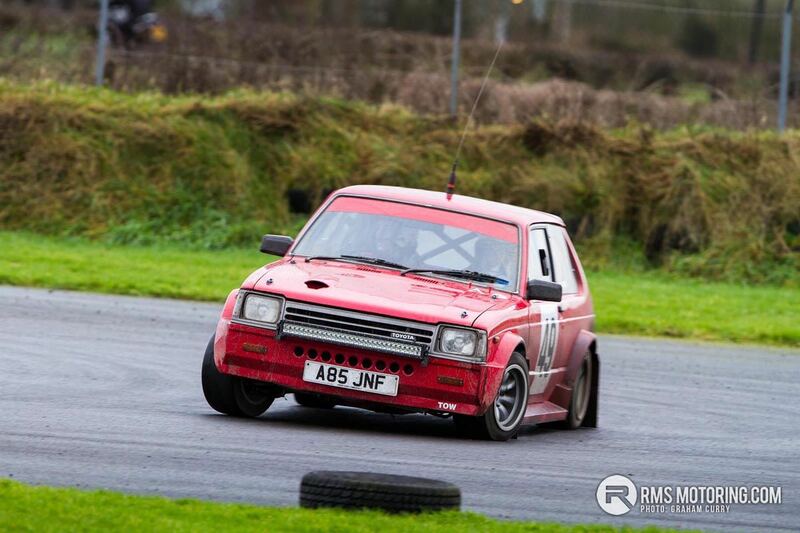 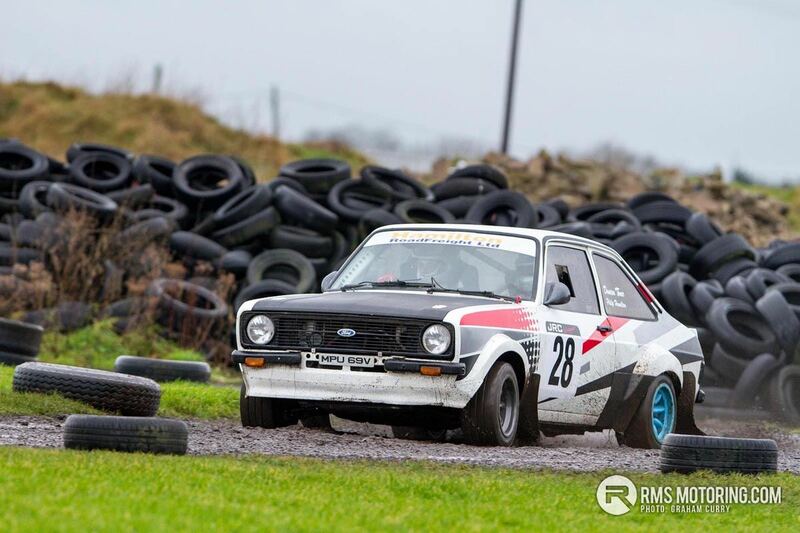 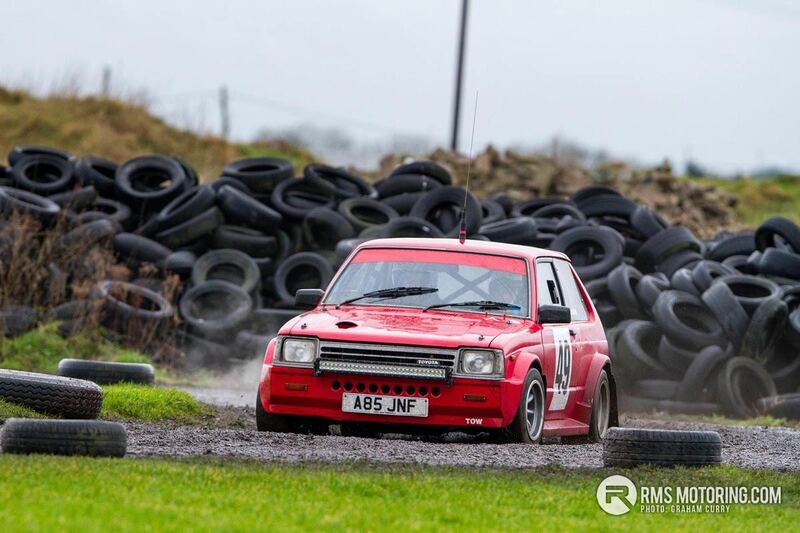 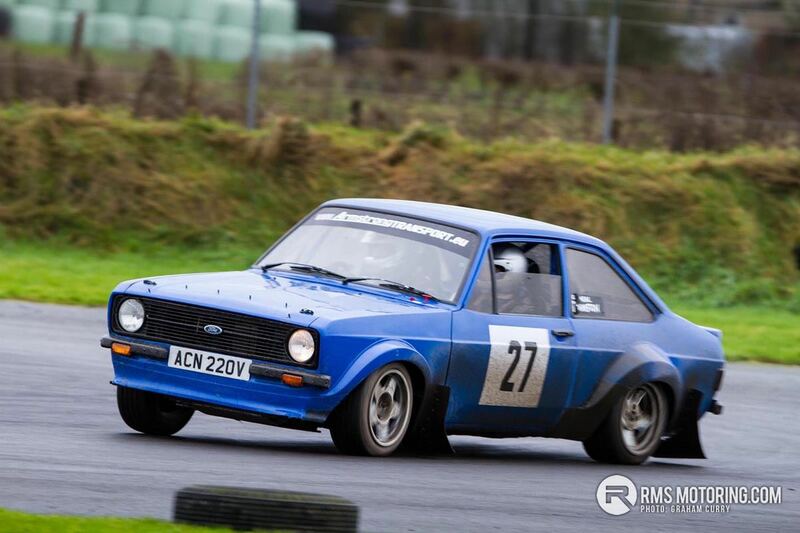 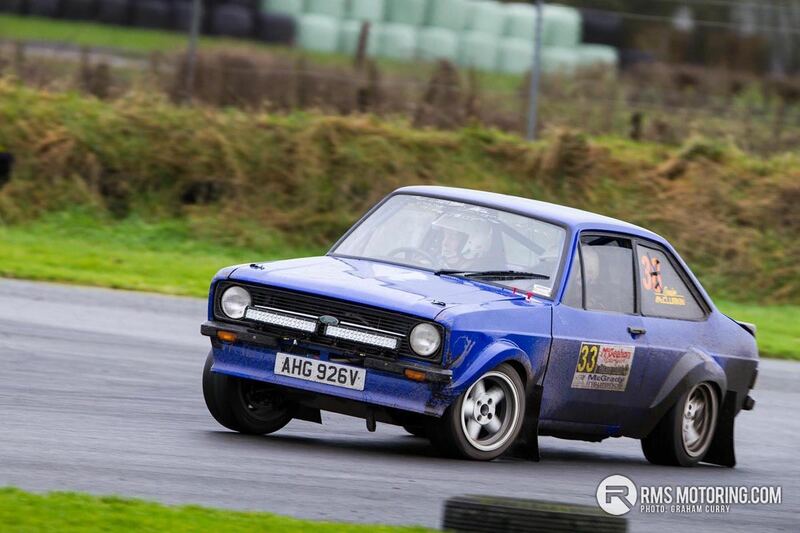 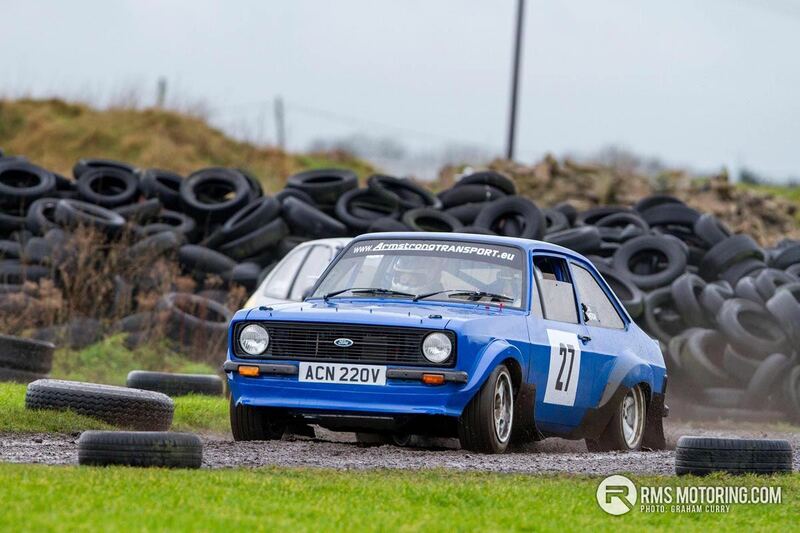 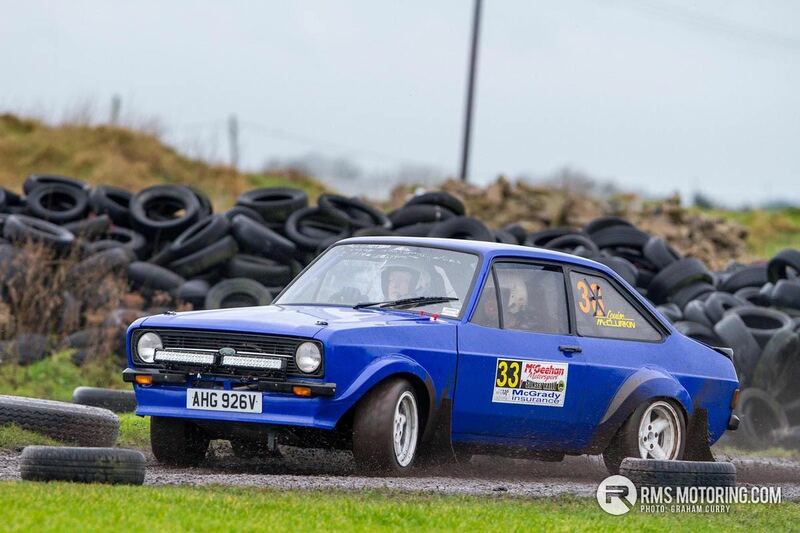 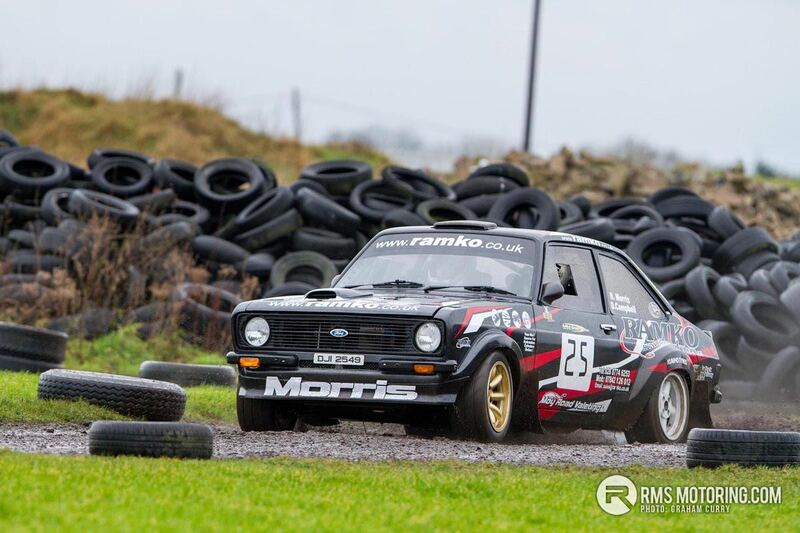 Having heard about a rather special Ford Fiesta running a Millington and all-wheel-drive setup, I was keen to see this machine in action with Alan Atcheson at the helm whilst Marty Toner in his Sunbeam is sure to keep the spectators entertained no matter where he competes. 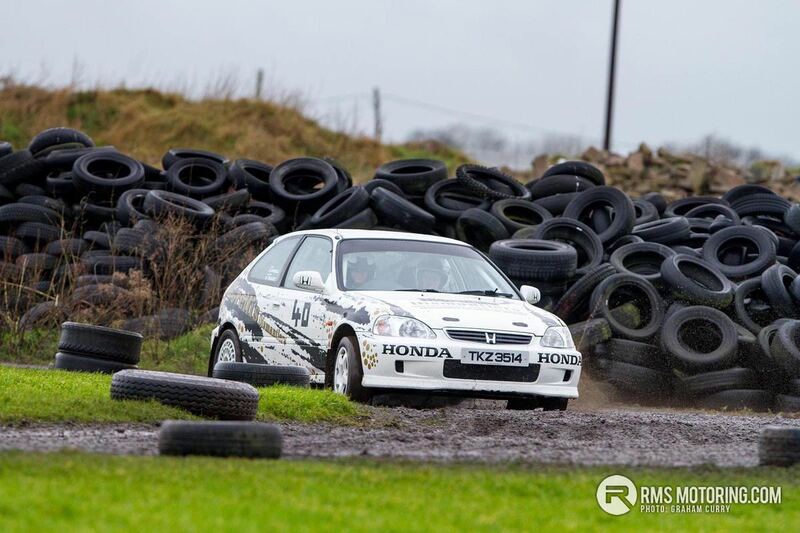 Derek McGarrity was first off the line and soon found out just how slippery this event was set to be, not surprising though when you consider the weather we have been having along with the fact the track doesn’t see much action over winter meaning no rubber is laid and the tar doesn’t get cleaned with use. 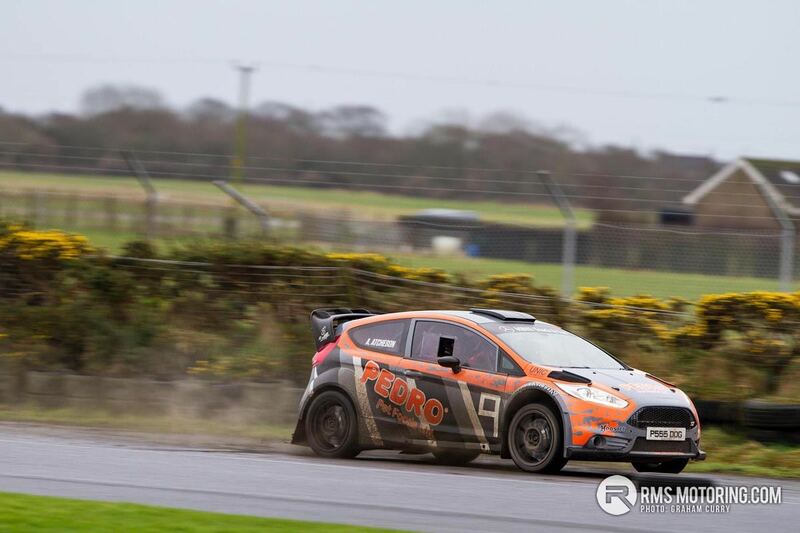 An exceptionally flamboyant McGarrity not only looked sharp through the first stage but took a commanding seven-second lead through the short test ahead of Massey with Allen in his new Fiesta hot on the Subaru’s heels. 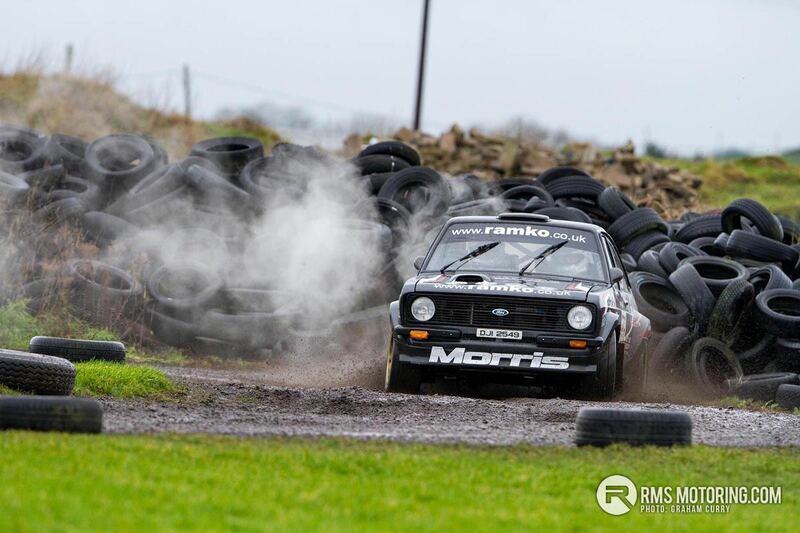 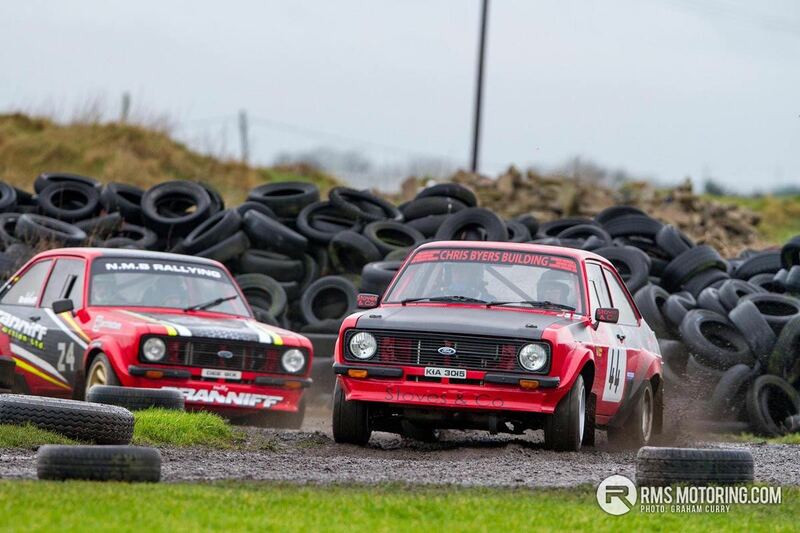 Heading into the final two stages, it was going to take a major fault in the car for McGarrity to hand over his win and as such, the battle was on for second and third. 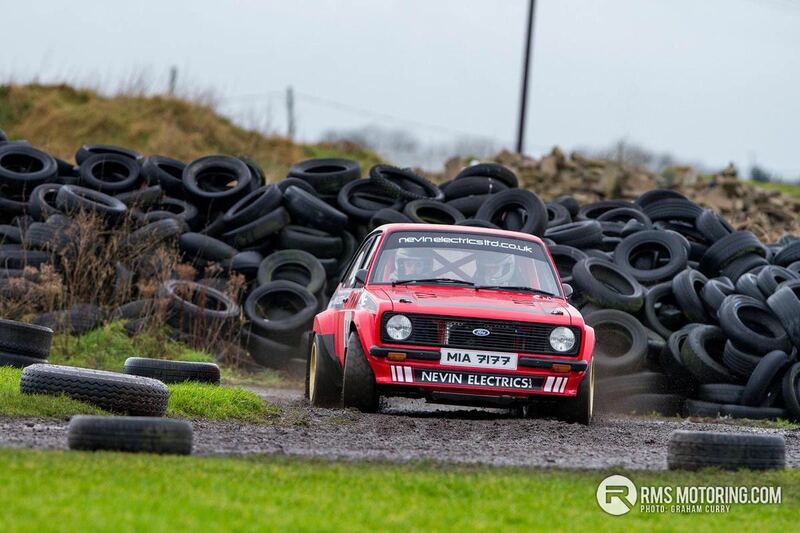 Massey took a stage win followed by Allen then claiming a stage win but at the end, just one-second split the two drivers. 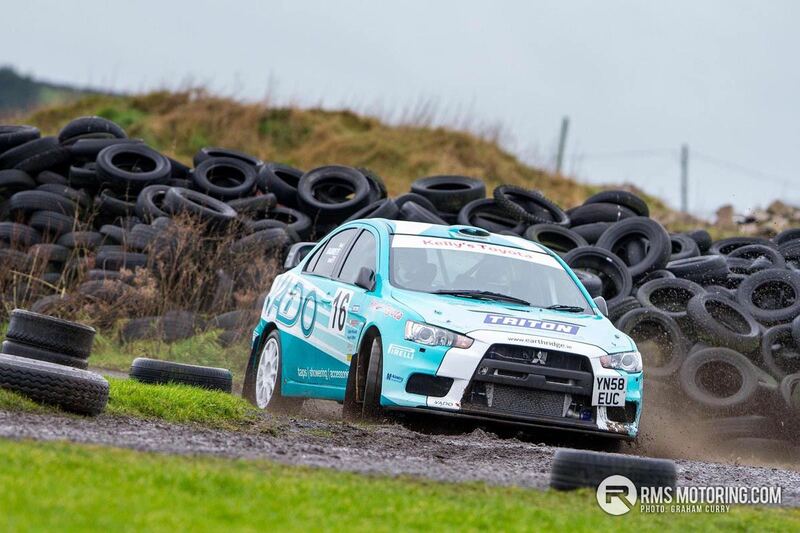 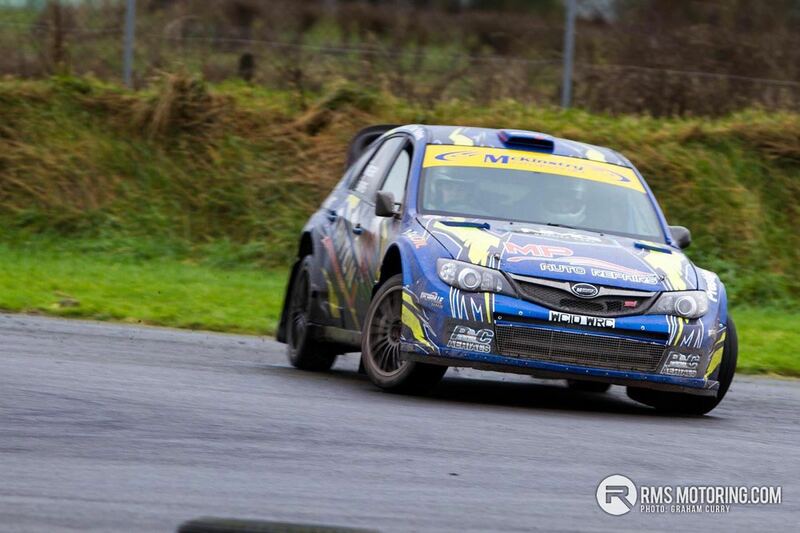 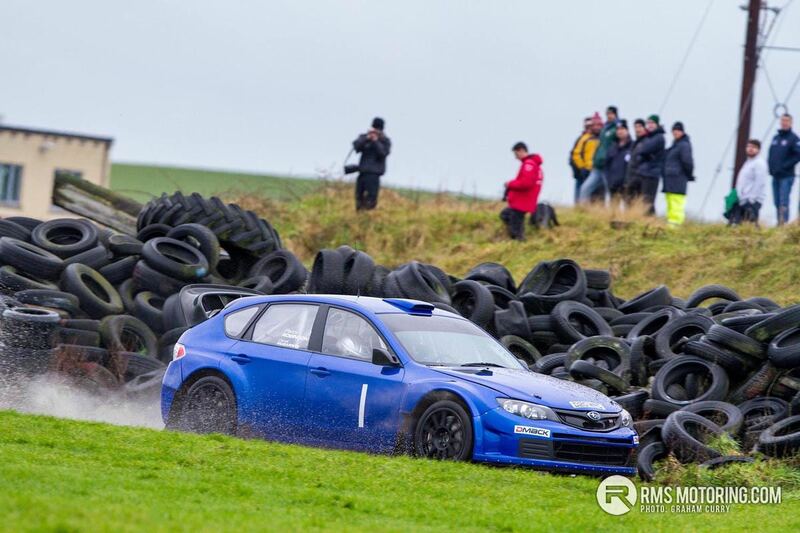 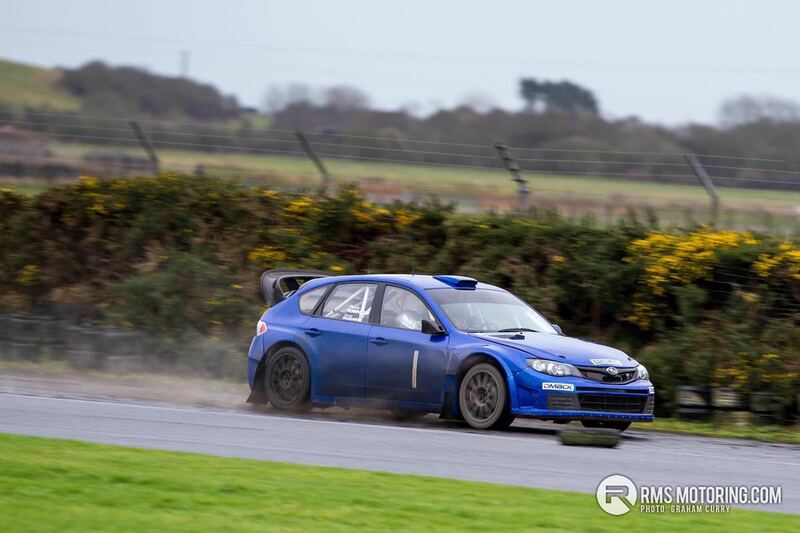 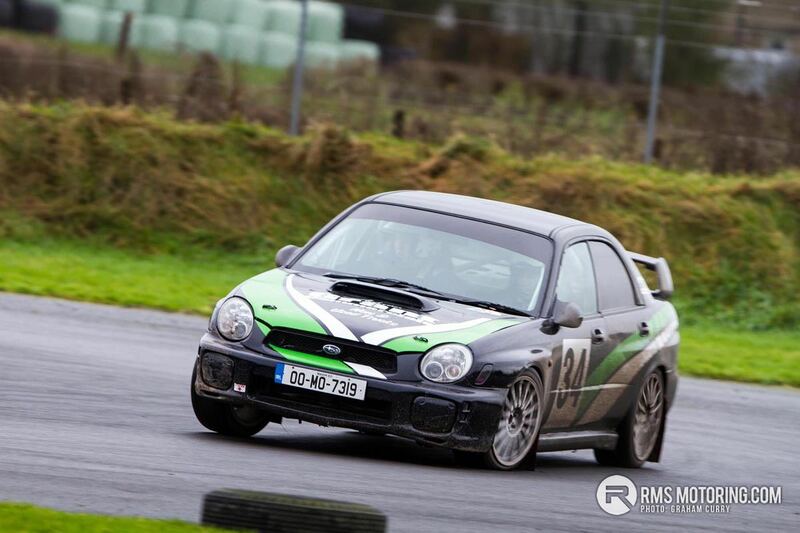 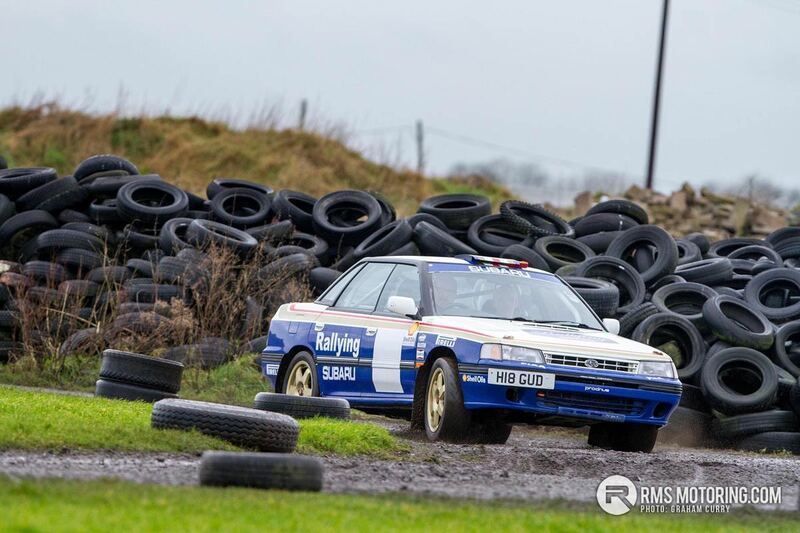 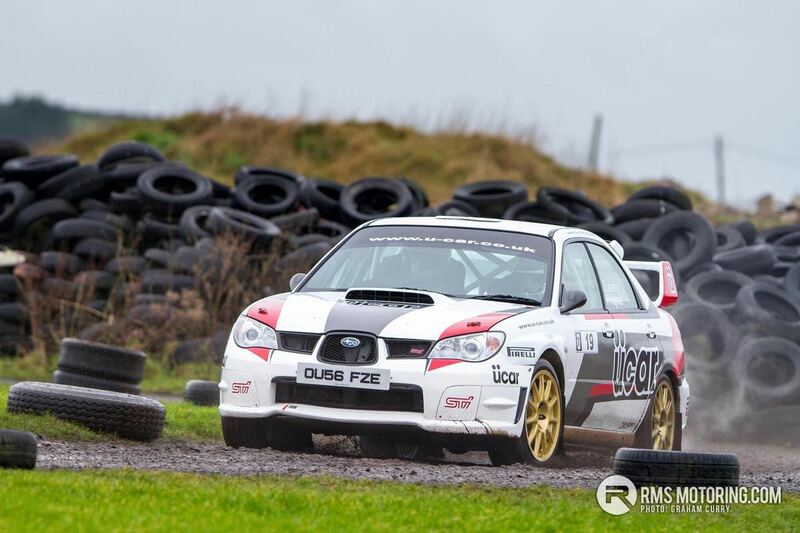 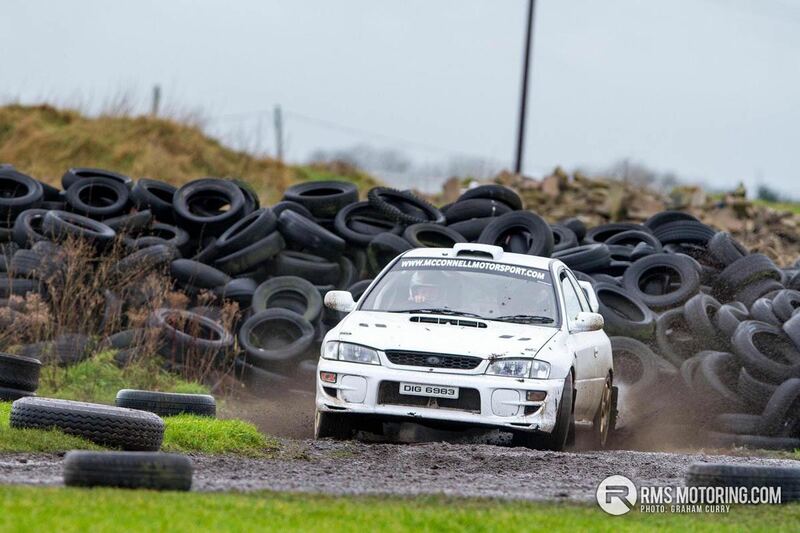 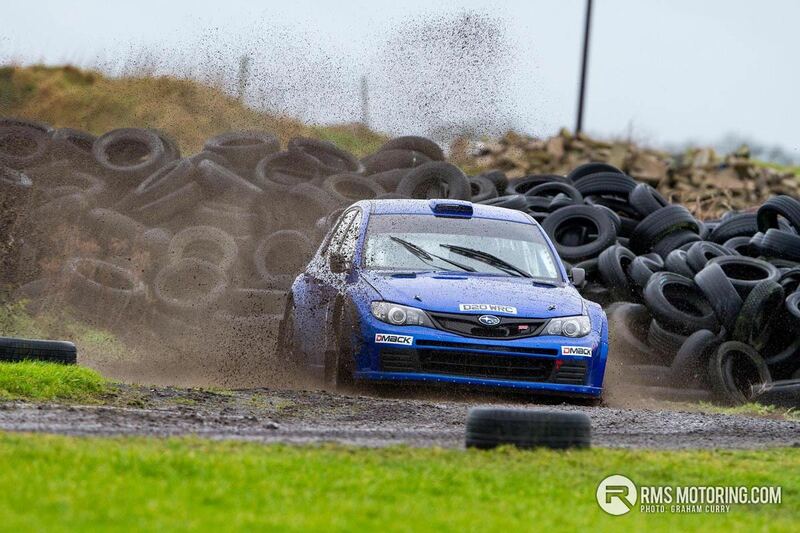 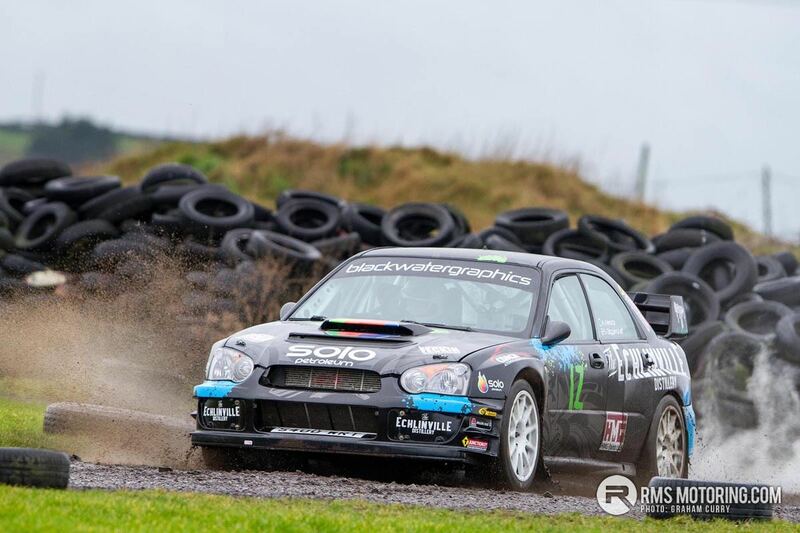 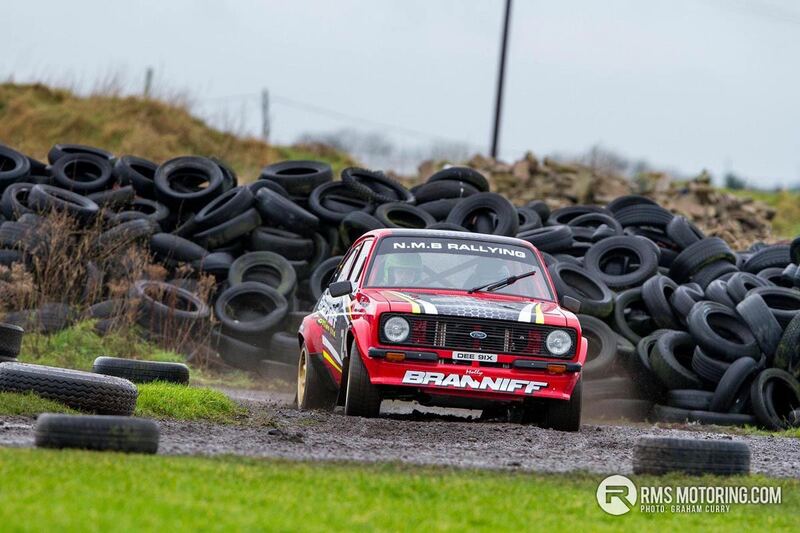 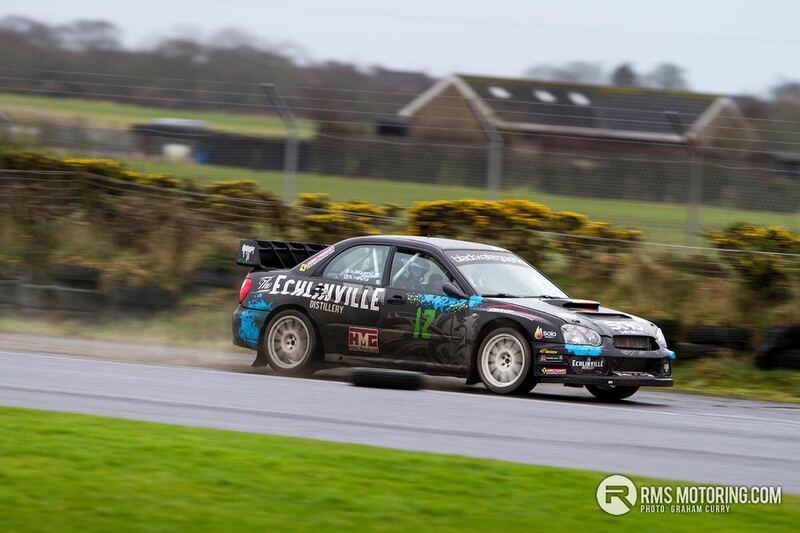 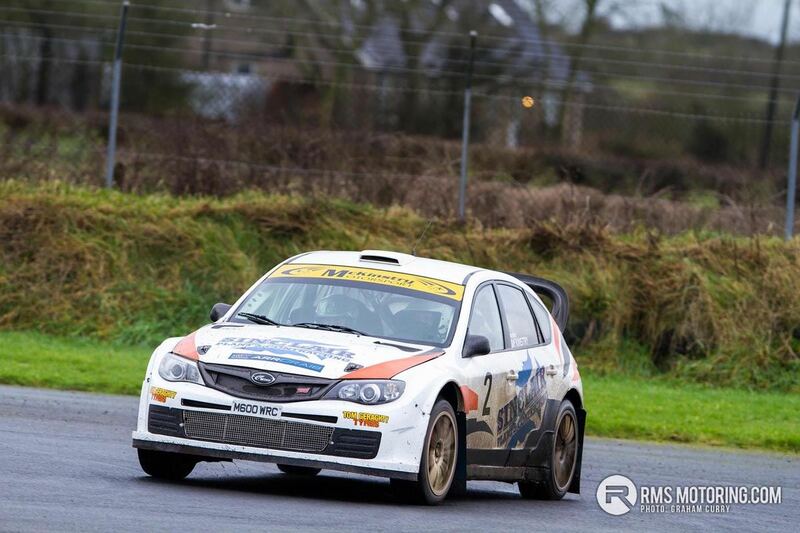 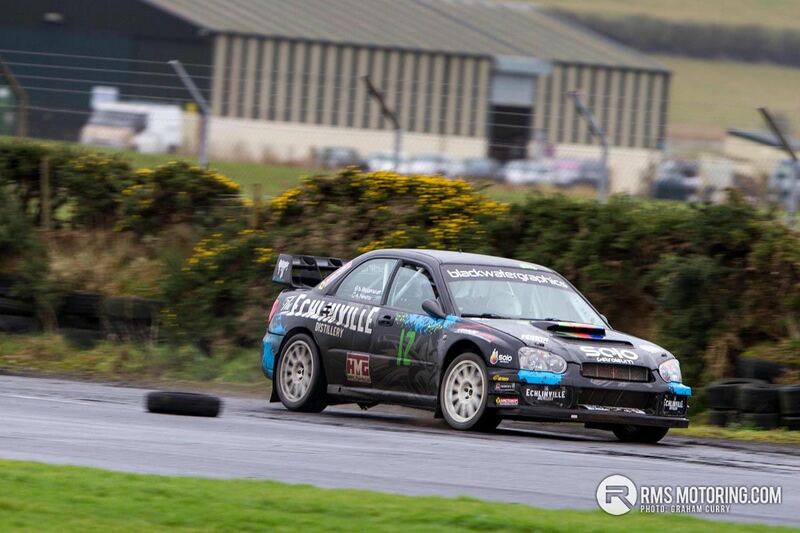 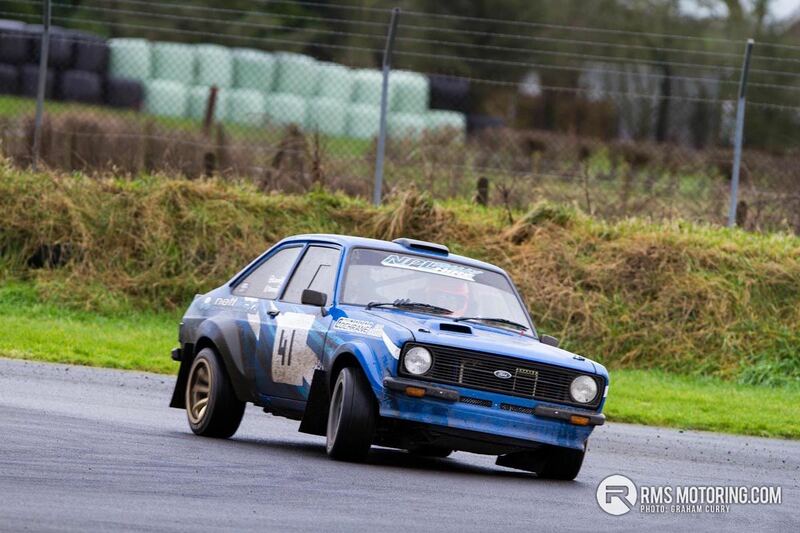 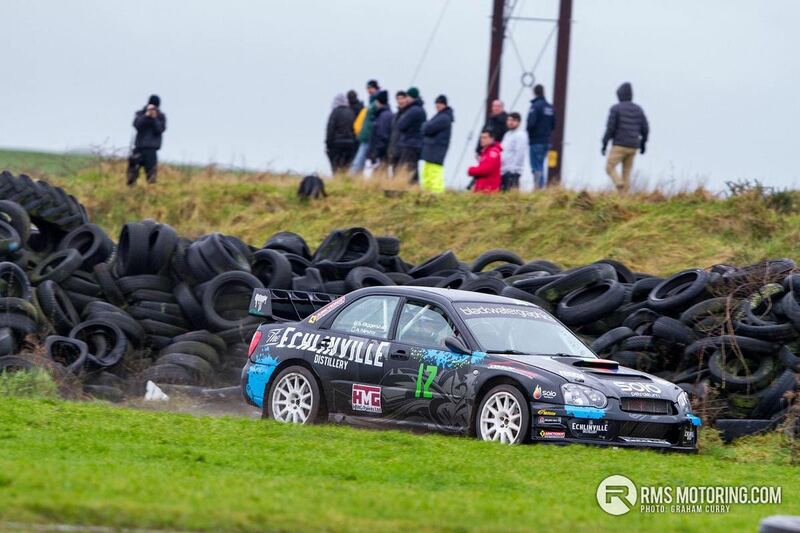 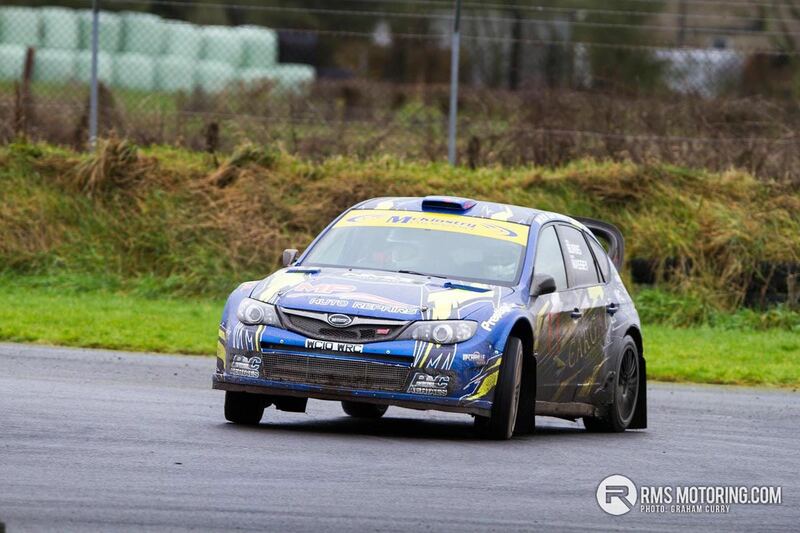 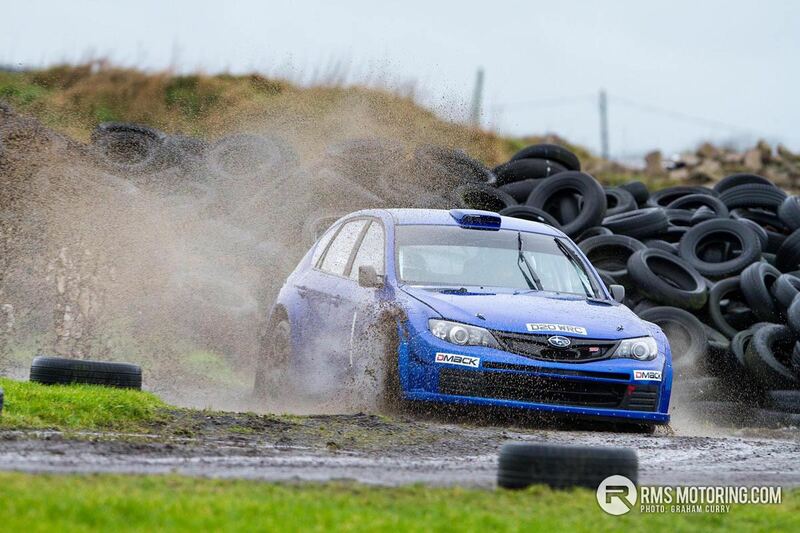 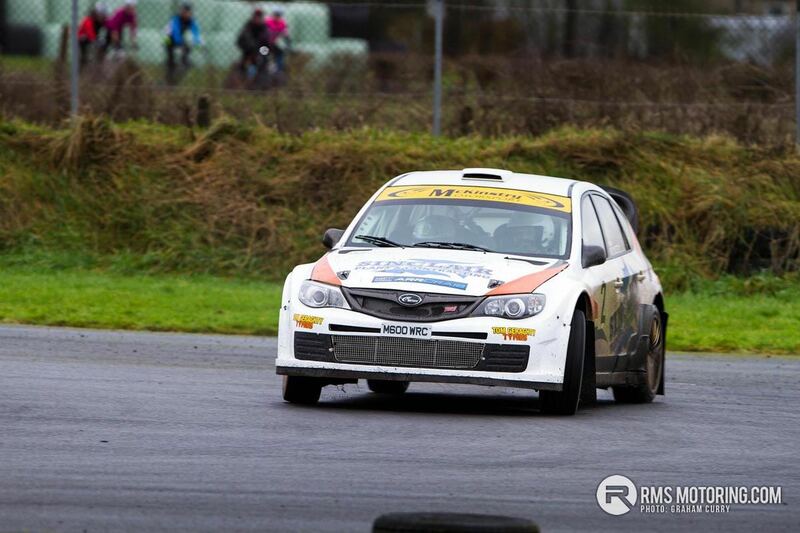 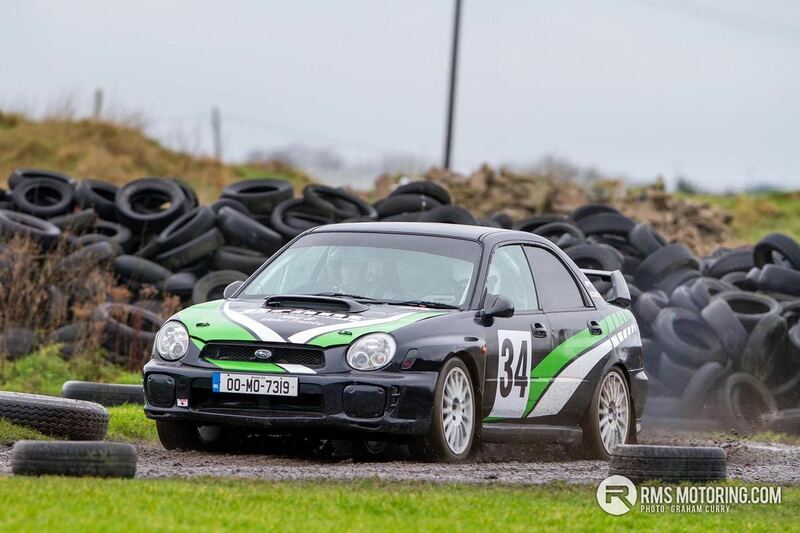 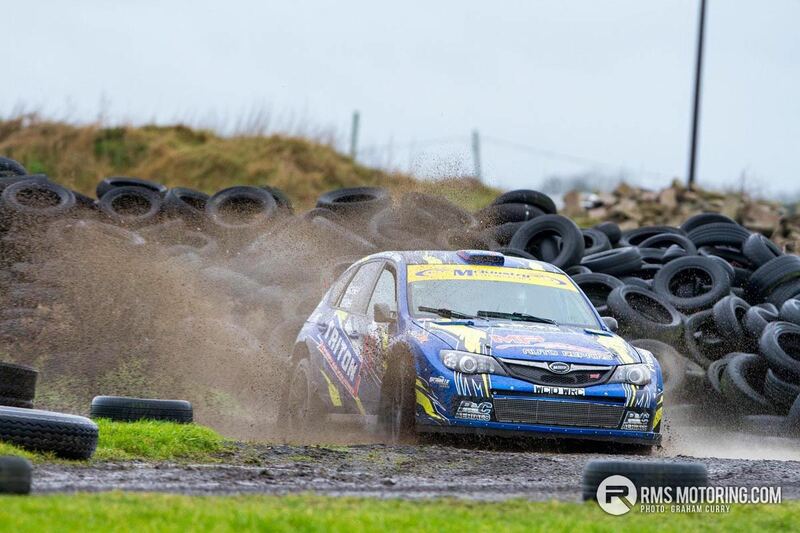 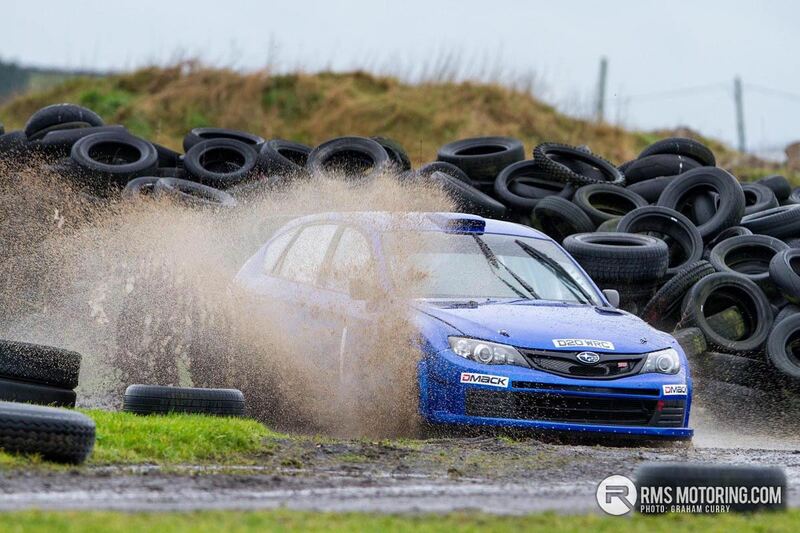 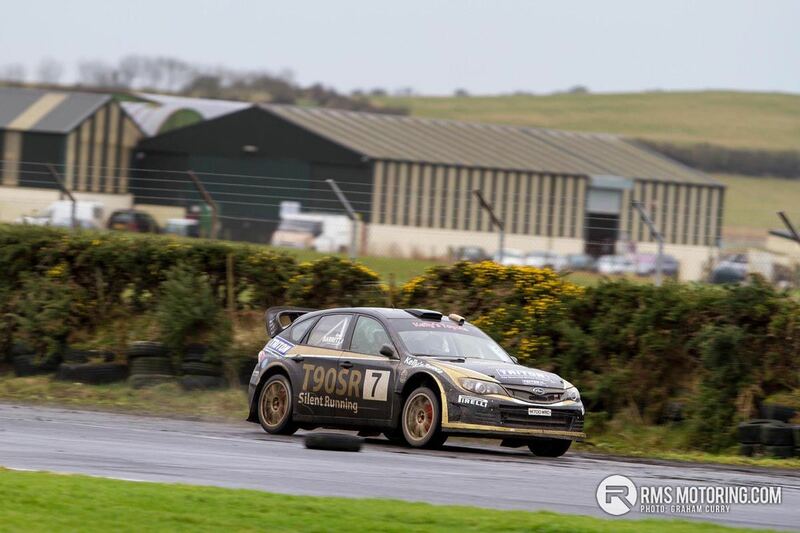 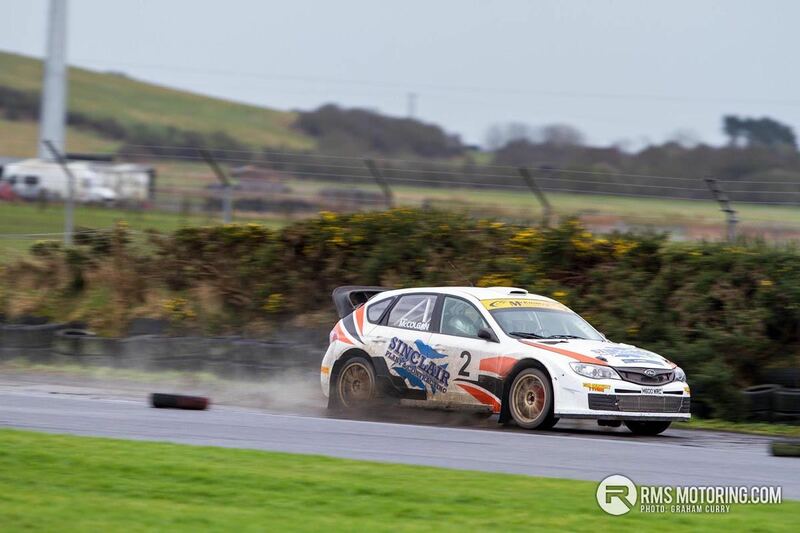 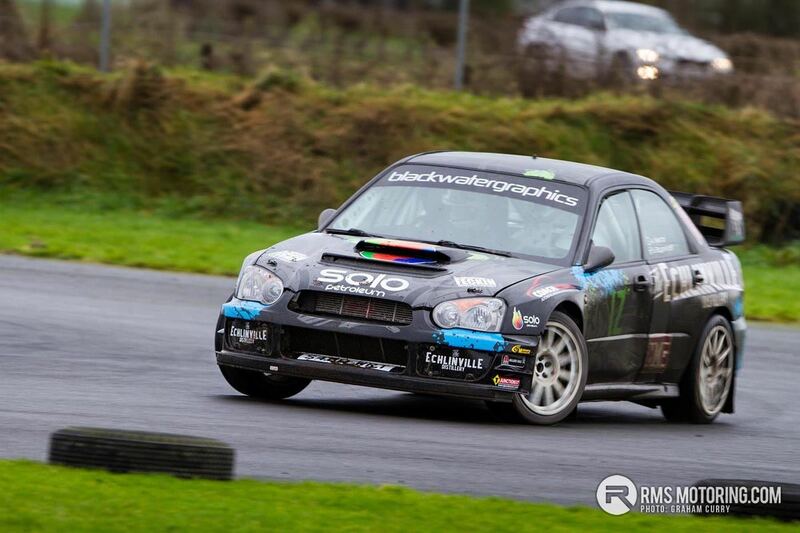 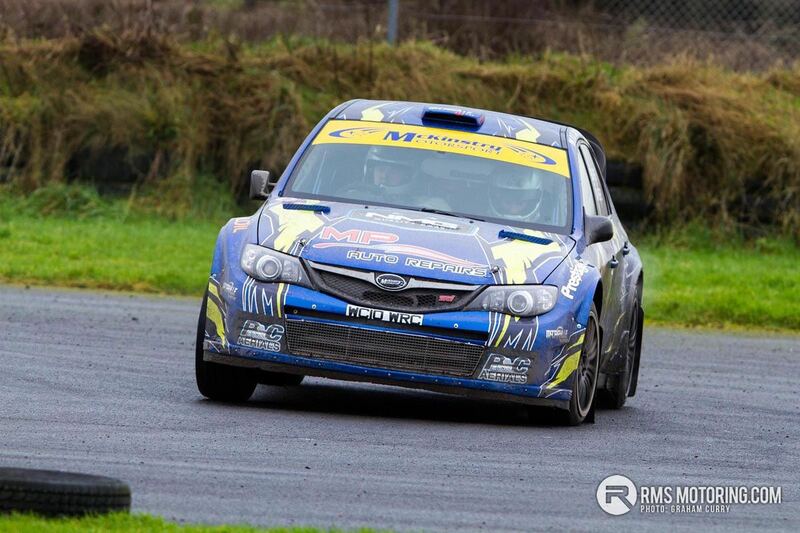 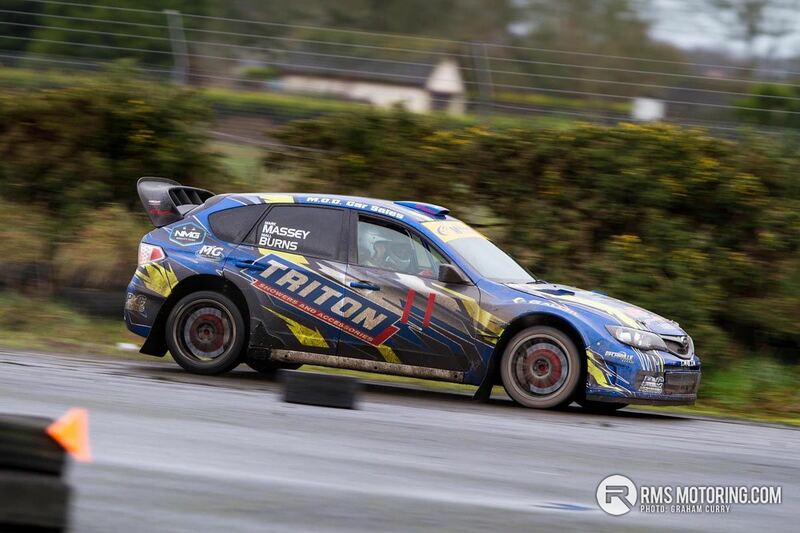 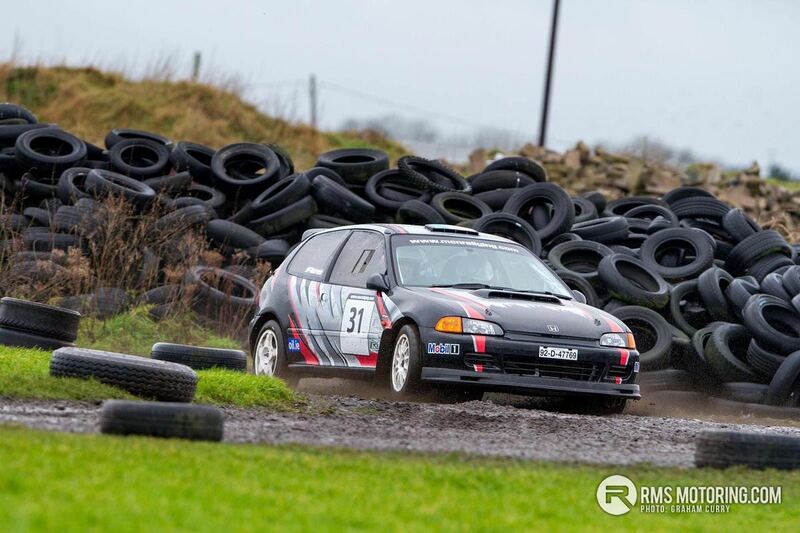 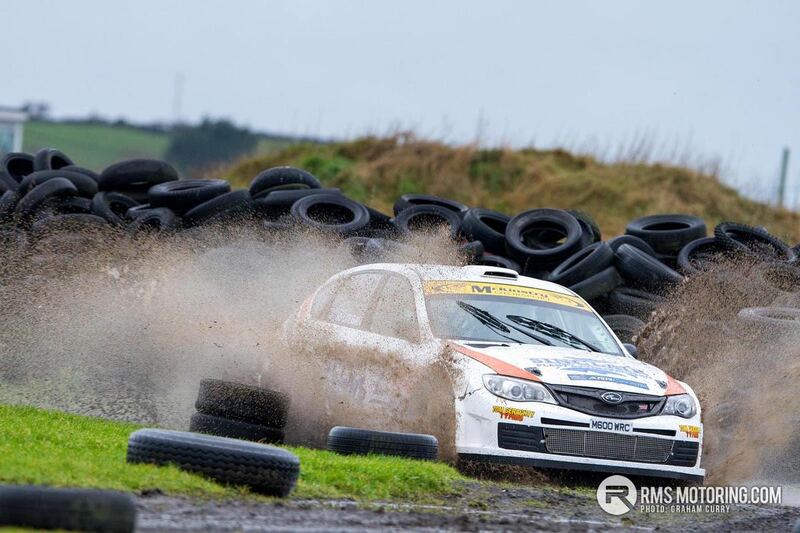 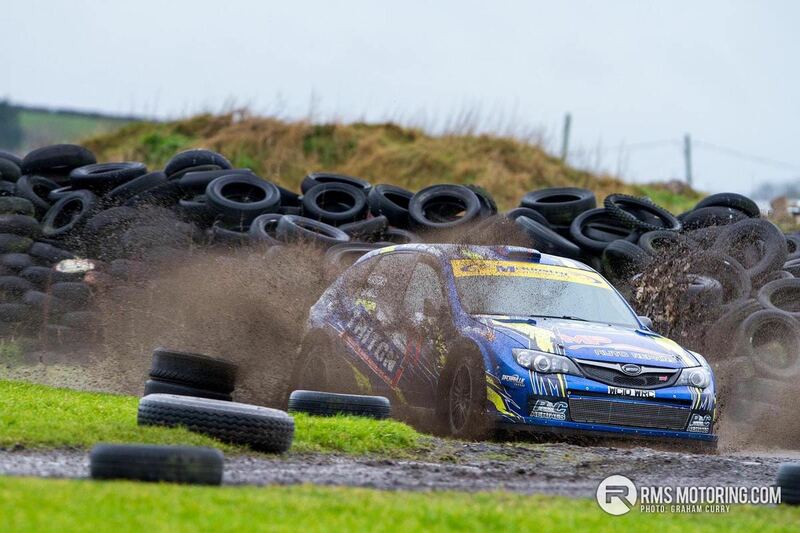 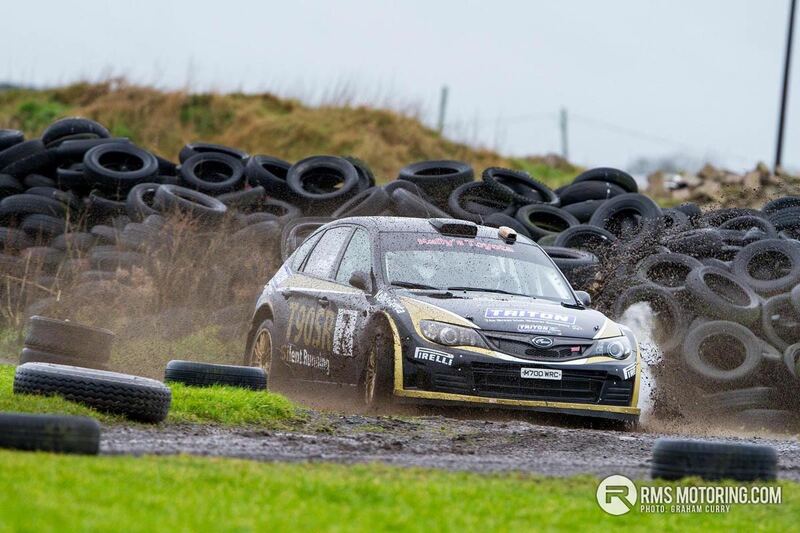 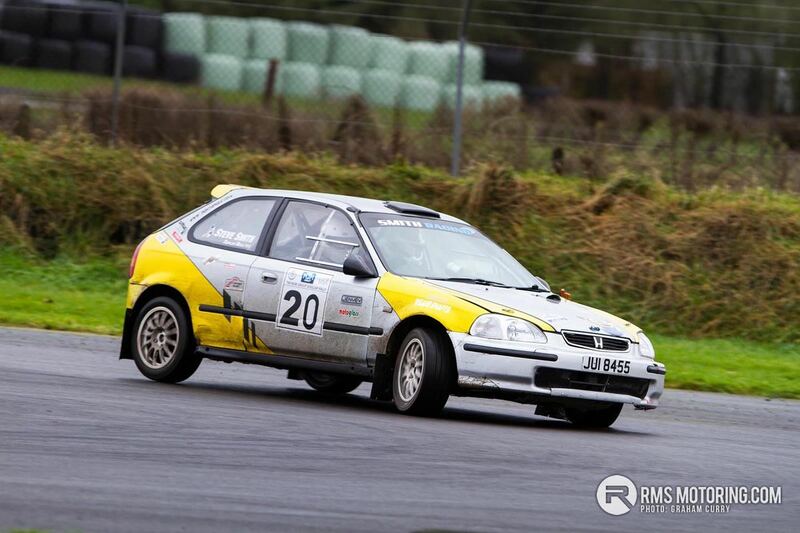 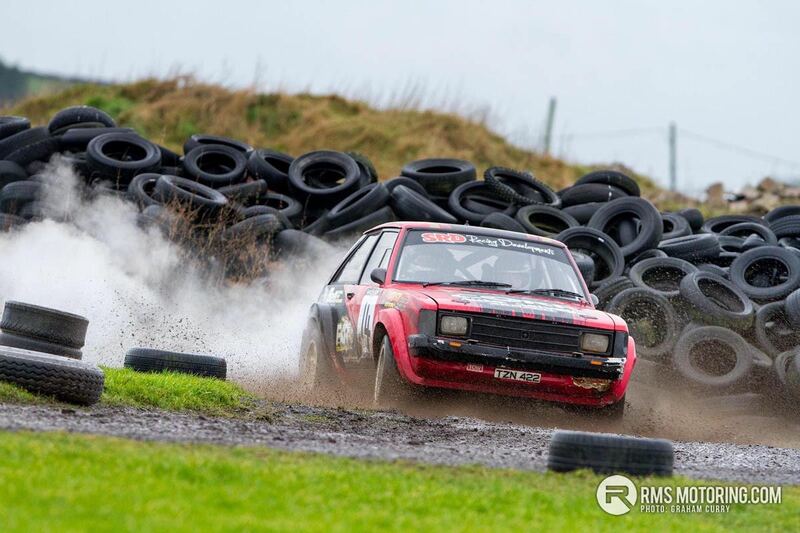 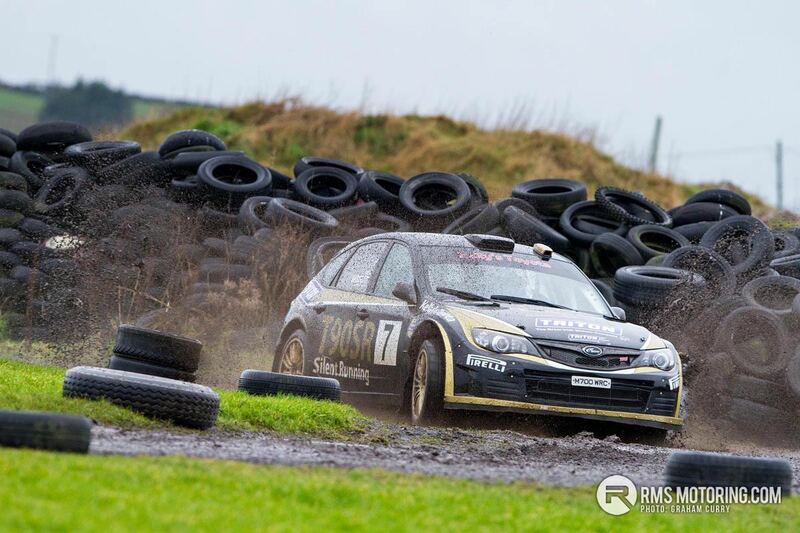 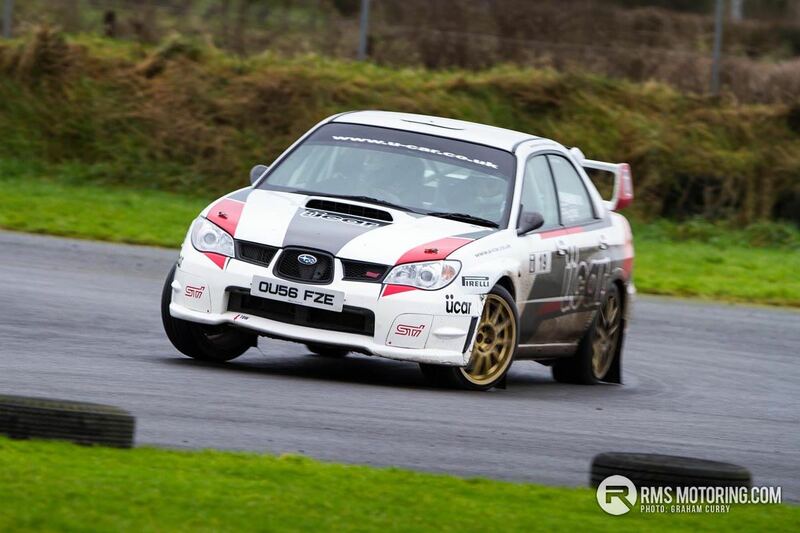 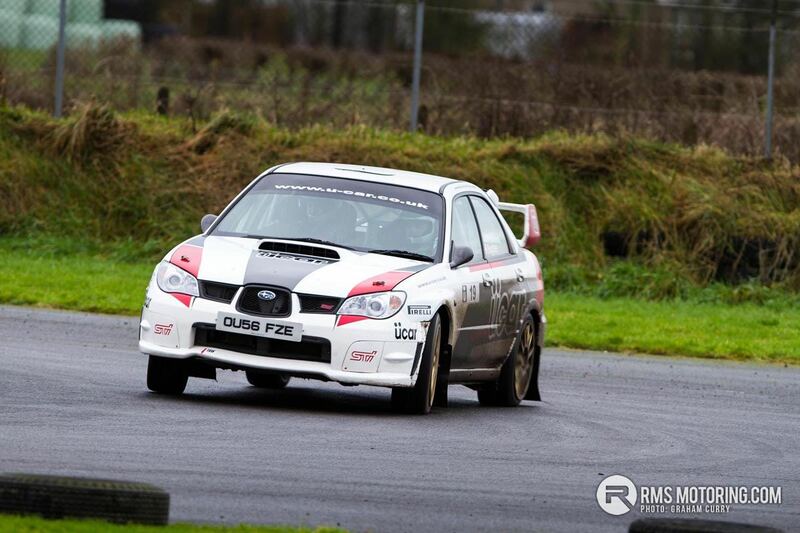 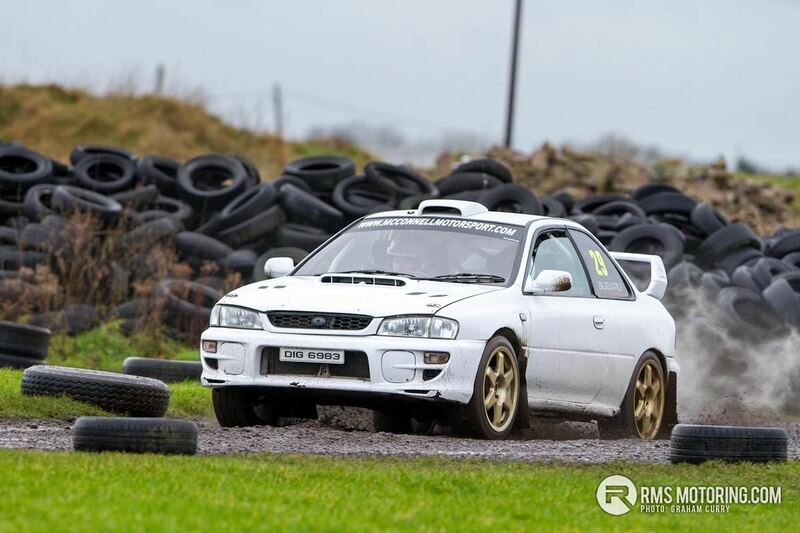 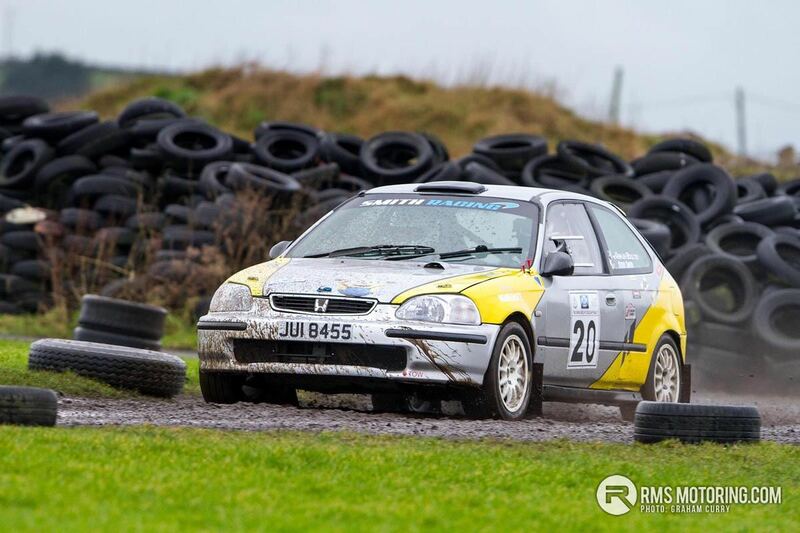 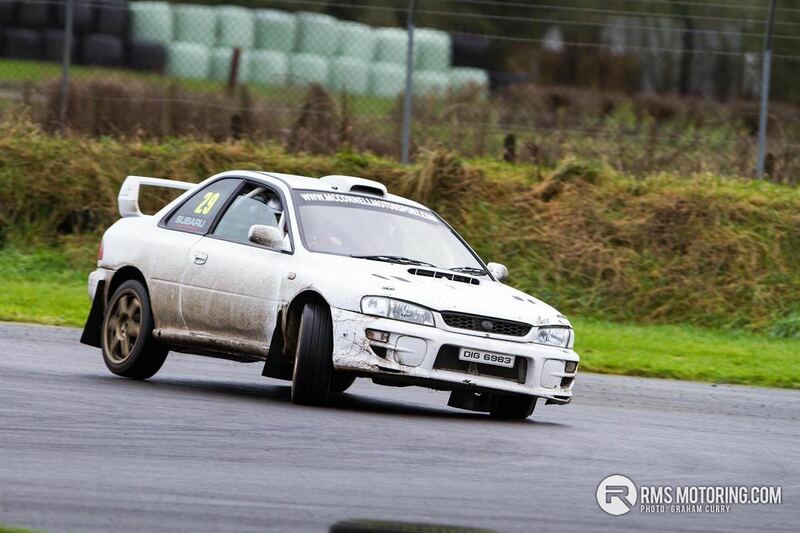 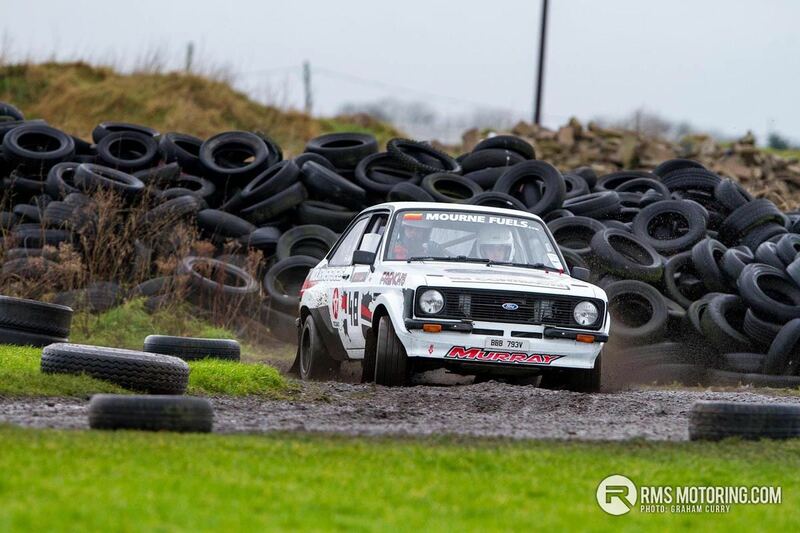 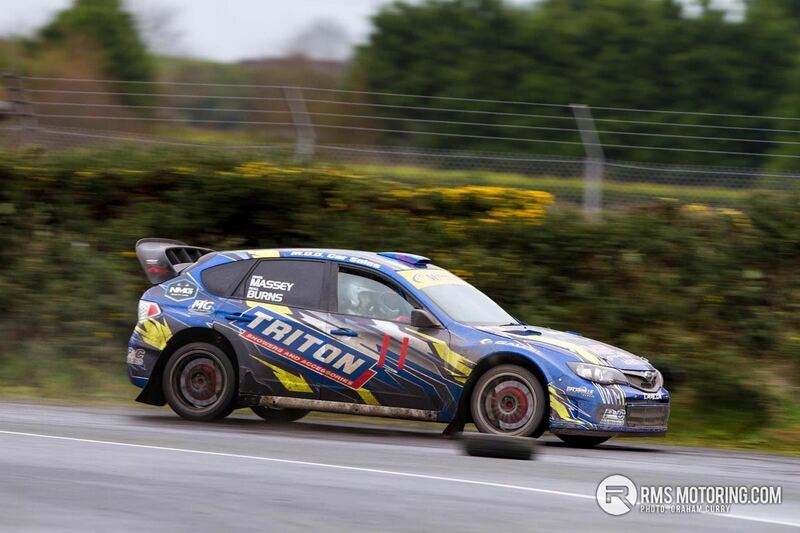 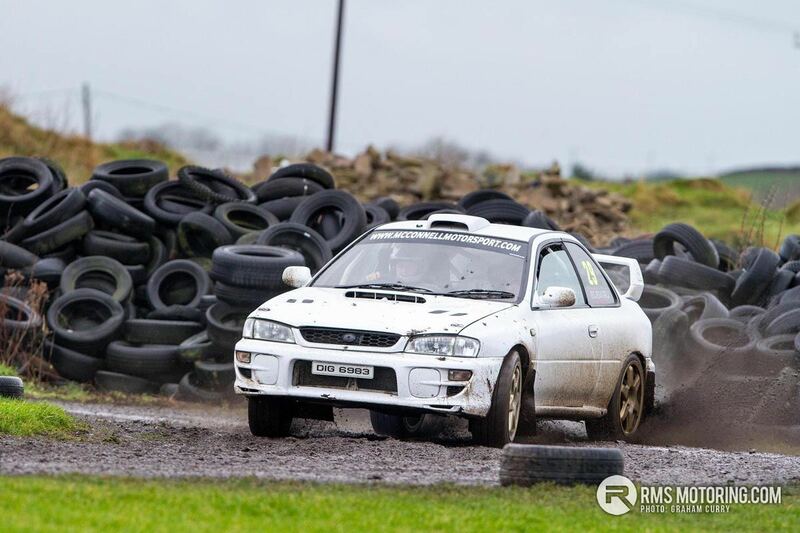 Outside the podium was another trio battling hard in the guise of old-hand Kenny McKinstry, Paddy McVeigh and Kevin Barrett, all in Subaru Imprezas and all who finished, after the final stage with a mere thirty seconds between them. 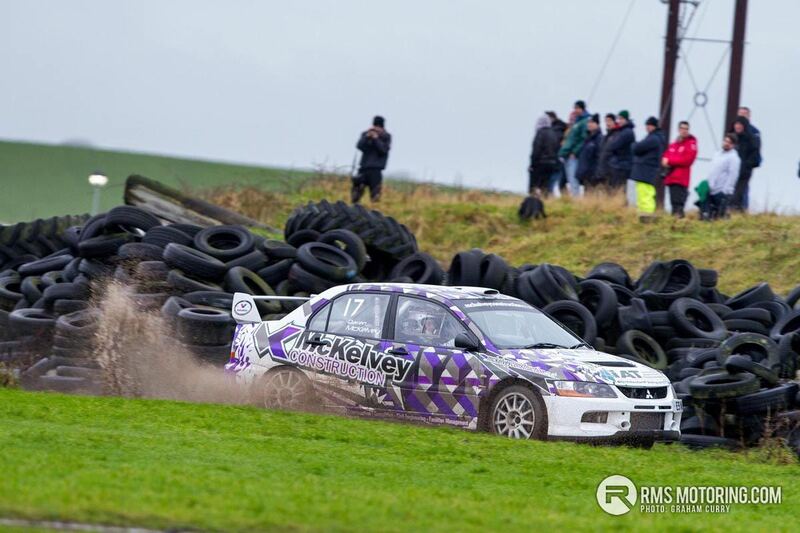 Trevor McConnell proved to be the hero of stage one in his Subaru Impreza with a driving style on the gravel sections akin to that of the late great Colin McRae whilst the Atcheson Fiesta was very impressive looking. 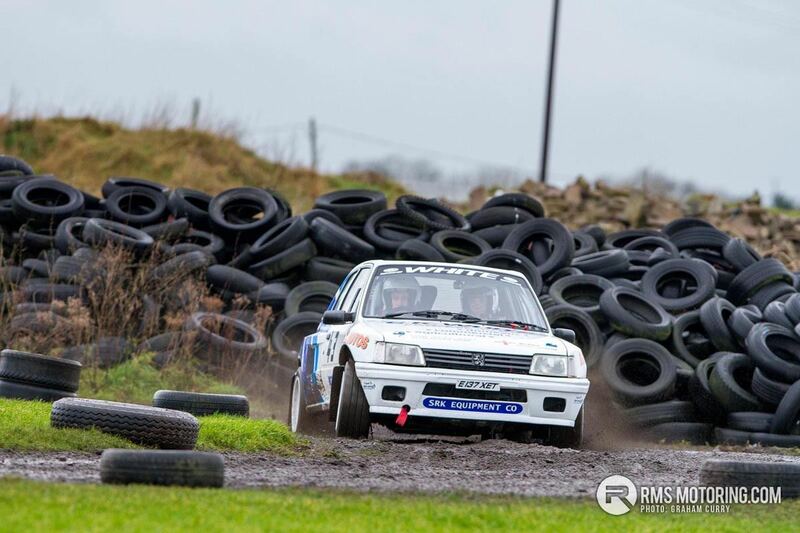 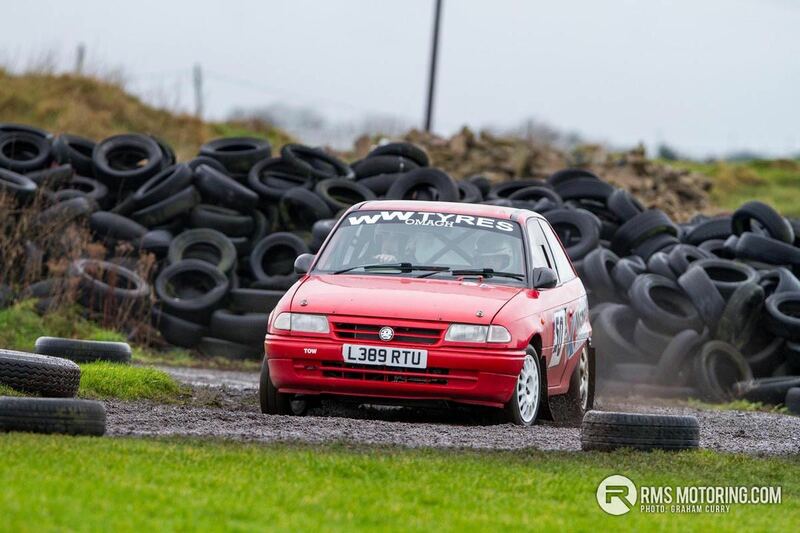 Jamie Grant in his Toyota Starlet was going very well as was Stephen Smith in his Honda Civic and it was poignant to see the former Neil McCance Evo 9 taking part with Darren McKelvey in the hot seat as it was at this circuit Neil last competed in that car before his untimely passing. 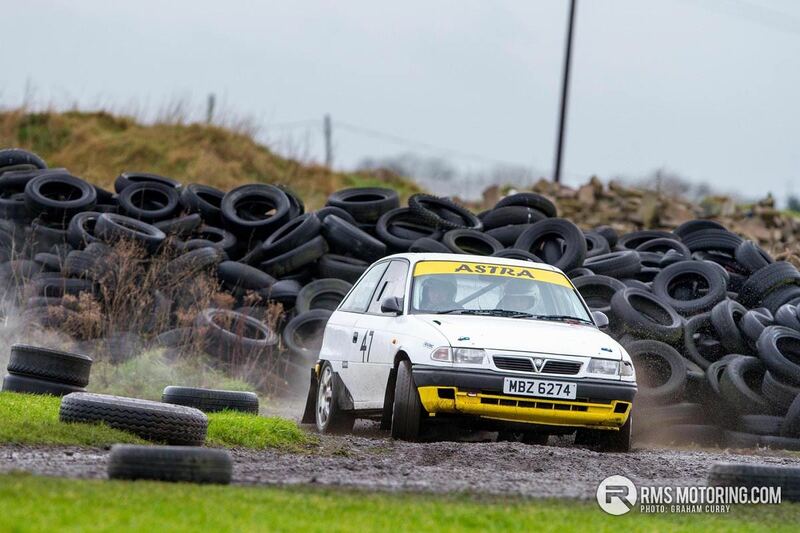 Alan’s Millington is some fun. 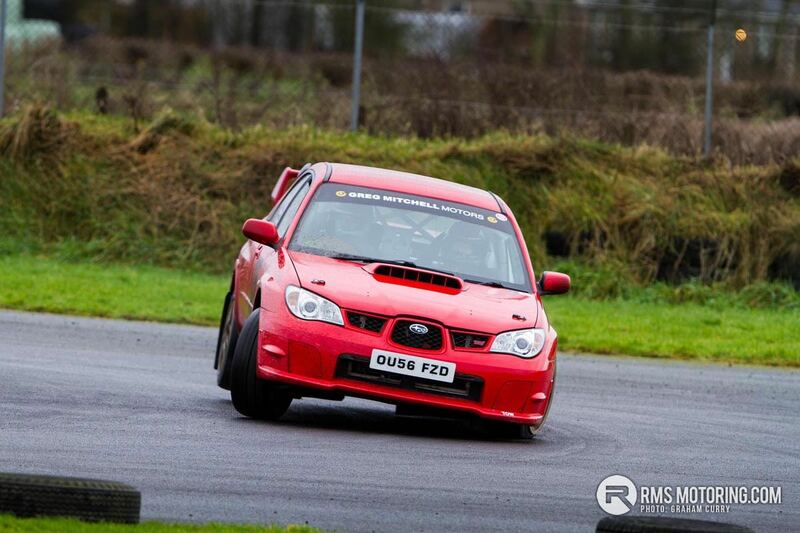 Was down with him testing before Christmas. 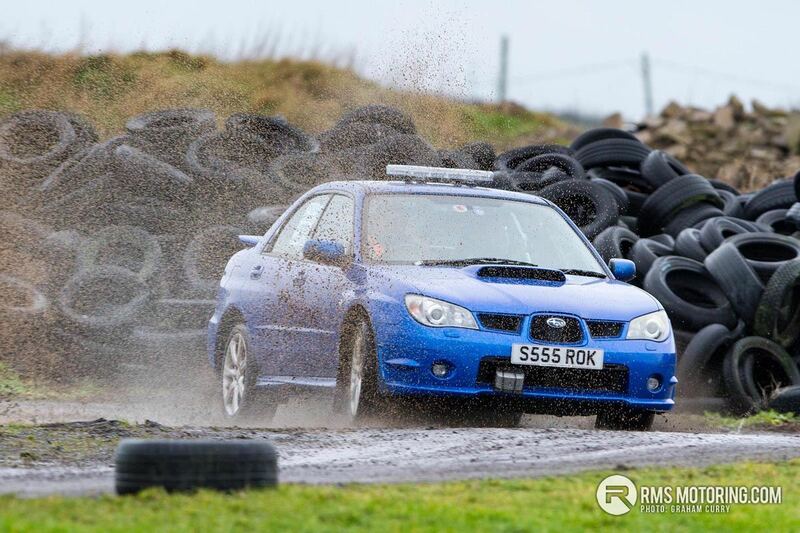 Some pilot.